Sprouts Farmers Market plans to open 13 stores during the second half of 2019, including five Florida locations and its first store in Virginia. Since opening its doors nearly two decades ago, Sprouts has appealed to everyday shoppers interested in fresh, natural and organic products at affordable prices. By the end of the year, Sprouts will operate 340 stores in 22 states. 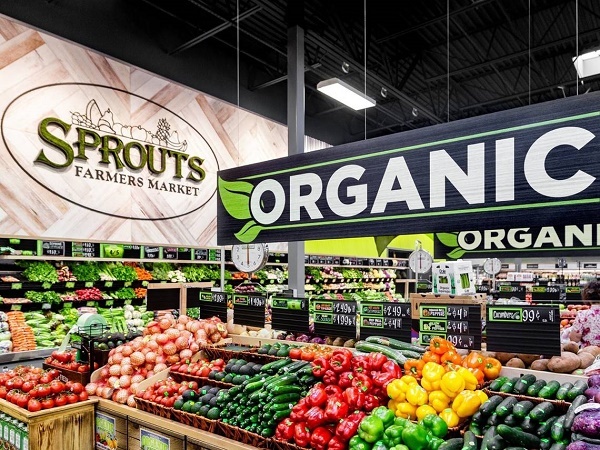 Sprouts stores opening in the second half of 2019 are: Bel Air, MD – 680 Marketplace Dr.; Deerfield Beach, FL – 930 South Federal Hwy. ; Greensboro, NC – 3357 Battleground Av. ; Herndon, VA – 494 Elden St.; Jacksonville, FL – 4873 Town Center Pkwy. ; Jupiter, FL – 3757 Military Trail; Lake Forest, CA – 24332 Rockfield Blvd. ; Laveen, AZ – 59th Av. and Baseline Rd. ; New Port Ritchey, FL – 8840 Strength Av. ; Riverview, FL – Summerfield Crossing and Hwy 301.; Vista, CA – 1400 East Vista Way; West Covina, CA – Citrus Street and Workman Av. and West Hollywood, CA – 8550 Santa Monica Blvd. The Deerfield Beach, New Port Ritchey, Jacksonville, Jupiter and West Covina stores will feature Sprouts’ newest operational and design enhancements that highlight department destinations and promote customer engagement throughout the store. Sprouts continues to grow as a destination for high-quality meat and seafood, and guests will enjoy eye-catching marquee signage and display cases at The Butcher Shop and Fish Market that emphasize the department’s knowledgeable and personal service. Additionally, The Market Corner Deli in the enhanced stores will feature a detached, rectangular island to optimize customer service and convenience by offering made-to-order sandwiches, a salad bar, prepared foods, sushi made in-store and fresh juice. Each new store will bring approximately 140 new career opportunities to its local neighborhood. Sprouts offers competitive pay, team member discounts, a fun and rewarding culture, and numerous career advancement opportunities. While Barnett has announced his plans to retire as Vice Chairman of Publix, he will remain on the board of Publix Super Markets Charities. The Publix board of directors has also named him Vice Chairman Emeritus and will recognize him at this year’s annual meeting of stockholders. Many organizations have recognized Barnett throughout his Publix career for his leadership and commitment to the community. The United Way of Central Florida named him Philanthropist of the Year in 2016 and presented him with the Alexis de Tocqueville Society Award in 2002. He received the Governor’s Business Leader Award in 2010 and was inducted into the Tampa Bay Business Hall of Fame in 2002. Barnett began his Publix career in 1969 as an internal auditor in Lakeland, Florida. He was promoted to controller in 1977 and vice president of administration in 1986. In 1988, he was promoted to executive vice president, and in 1998, he moved into his current role. Barnett is looking forward to spending more time with his wife, Carol Jenkins Barnett, and continuing to support the communities they’ve served for so long. 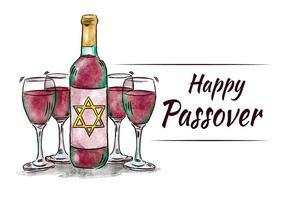 Wine is essential to Passover, when Jewish people around the world gather with family and friends to recount the story of the Exodus from Egypt and share a festive meal. It is customary for all (adults) to drink four cups of wine at the Seder. That’s a lot of wine for one meal! This year Passover begins on the night of April 19, which is somewhat later than usual. 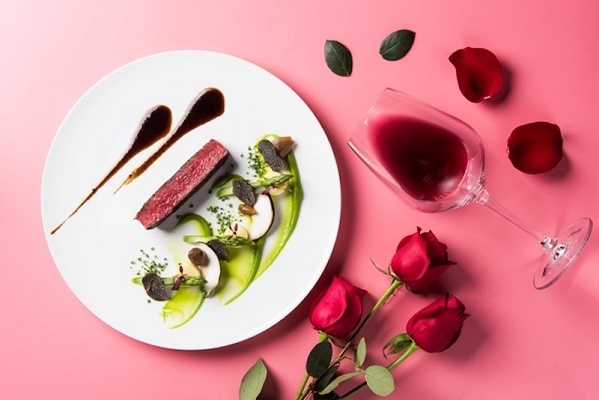 But it’s great news for wine lovers, according to Royal Wine’s PR Director, Gabriel Geller. In the runup to Passover 2019, Geller recommends new bottlings to explore for the “Feast of Freedom” – the commemoration of the redemption of the Jewish people, some 3,500 years ago, from centuries of slavery in Egypt. His suggestions pair exceptionally well at the Seder table or any other special occasion, and run the gamut of varieties and price points. LINEAGE CHOREOGRAPH a field blend of more than a dozen different grapes comes from an experimental plot on the Herzog estate vineyard -- the wine is soft and inviting while at the same time complex and flavorful, and very reasonably priced (SRP$20.00). G de Guiraud 2017 (SRP $39.99) is a satisfying, dry blend of Sauvignon Blanc and Semillon, while the chateau’s second Sauternes, Petit Guiraud 2017, is a luscious, wonderful dessert wine (SRP $74.99). Herzog Late harvest Orange Muscat 2018 - don’t be fooled by this wine’s orange tinge and floral near orange aromas. Its 100% Orange Muscat Grape has great lively acidity and sweetness, all rolled into this floral, long-lasting luscious wine (MSRP $22.99). Sotol is from the northern state of Chihuahua in Mexico. Sotol is not made out of Blue Agave like tequila, but Dasylirion wheeleri, otherwise known as Desert Spoon, or Sotol in Spanish (My wife translated that for me). This Anejo Sotol is rich and smoky with slight hints of Grapefruit. Like a typical Reposado from Mexico this is aged only for 6 months. A special uniqueness to Sotol is the oak used for ageing the product is Virgin oak unlike tequila which does used bourbon barrels. The fresh oak gives added tannins and spice to this tasty item. Arak, which means perspiration in Arabic, is the spirit drink of choice in the countries of the middle east. Abe Shrem, founder of Zachlawi, brought his family’s old Syrian recipe back to life here in the USA. Bold Anise aromas shine through with delicious licorice finish. Elite Arak is one of the leading Israeli producers of this centuries-old spirit. Every Friday afternoon, a day off for many Israelis, men and women sit outside together with friends while sipping a cold shot of Elite Arak. The most popular Arak in Israel, Alouf Arak is silky smooth with notes of sweet anis and fig. A wonderful blend of eau-de-vie from the Grande Champagne and Petite Champagne growing regions. These two growing regions have very chalky soil which helps to make a very aromatic eau-de-vie, which is distilled to make this special cognac. There’s a common ‘urban legend’ that wine is rendered kosher after being blessed by a Rabbi – that is incorrect. Actually, for a wine to be made kosher there are strictly supervised purity guidelines that need to be followed from the moment the grapes enter the winery to when the wine is bottled. To be considered kosher, Sabbath-observant Jews must supervise and sometimes handle the entire winemaking process, from the time the grapes are crushed until the wine is bottled. Any ingredients used, including yeasts and fining agents must be kosher. Some Kosher wines are processed as Mevushal, which means ‘cooked’ in Hebrew. Some wineries produce their Mevushal wines by heating the must (grape juice) prior to fermentation, while others apply that procedure on the final product, prior to bottling. Krasdale Foods, a 110-year-old, privately-owned company providing essential services to supermarket operators, including grocery distribution, merchandising and marketing, today announced it will hold its first annual ladies luncheon and casino event on International Women's Day, March 8, to honor its female storeowners and businesswomen in the grocery space. The event will bring together storeowners, store employees, members of the corporate team, vendors and others for a fun and charitable afternoon. Proceeds and optional donations from the event will support Win and its mission to help New York's homeless women and their children rebuild their lives. "We have always made it a priority to highlight the outstanding women at Krasdale," said Dylana Silver, Director of Marketing at Alpha I Marketing, an affiliate of Krasdale Foods Inc. "While we celebrate women every day at Krasdale, this specific day provides us an opportunity to come together for a good cause." Guests at the event will have an opportunity to gamble with play money, redeemable for raffle tickets for chances to win Broadway tickets, jewelry, gift cards and more. Attendees can also choose to engage in inspiring conversations aimed at elevating women in the industry. Special guest KTU personality, music artist and Bronx local Judy Torres will share her personal story of growth and the various obstacles she has overcome to get where she is today. This event fits with Krasdale's ongoing mission to nurture young women and help them develop into successful businesswomen. For the past three years, Krasdale has participated in Her Honor, a mentoring program that offers paid internships to seniors at White Plains High School. By working with mentors at the company's corporate headquarters, the young women learn the skills to succeed at college and beyond. Consistent with Food Lion’s "Easy, Fresh and Affordable... You Can Count on Food Lion Every Day!" strategy, the company announced today that it will remodel 92 stores in the greater Myrtle Beach, Florence, Columbia and Charleston, SC, markets in 2019. The $158 million capital investment Food Lion will make in its stores will go toward remodeling the stores, lowering prices, and expanding the assortment of products available at each store. Food Lion is also expecting to hire nearly 2,000 new associates at these stores as part of its commitment to enhancing the customer experience. "Food Lion is proud to have been a part of the many towns and cities we serve throughout South Carolina for 43 years and we are even more excited to bring exciting new offerings, services and a new look to these markets," said Food Lion President Meg Ham. "We look forward to making significant investments in our stores, our associates and our communities to offer a new grocery shopping experience. Our mission is to ensure our customers can easily find fresh, quality products to nourish their families at affordable prices every day, delivered with caring, friendly service every time they shop. We look forward to reintroducing our renovated stores later this summer." Additionally, the stores will offer an expanded variety and assortment of products that are relevant to customers in each store and each community, such as more local, natural, organic and gluten-free items. The stores will also feature enhanced deli/bakery service and an enhanced customer service, which is the result of new customer-centric training for associates at every store. • In-store made hand-battered fried chicken in the deli bakery department. • More local products such as beer and wine, and natural and organic selections. Each of the 92 stores will remain open during normal operating hours during the remodel process. Once complete, these locations will offer fresh, new experiences designed to be easier to navigate and shop so customers can get in, out and on their way quickly. Food Lion would have remodeled 80 percent of its network of more than 1,000 stores across its 10-state operating area once these renovations are complete. Longtime Head of U.S. Sugar Corp. The Food Industry mourns the recent death of J. Nelson Fairbanks at the age of 83. Fairbanks passed away peacefully February 18, 2019 in Orlando, Florida. He was born September 27, 1935 in Jonesville, Louisiana to Stephen and Onie Fairbanks. He was predeceased by his parents and his sister, Velda Brasher. Fairbanks graduated from Louisiana State University in 1957 with a B.S. in Animal Science and went on to serve in the U. S. Army as Staff Sergeant until 1962. He returned to LSU and earned a M.S. in Agriculture Economics and Business in 1964. He served as Assistant County Agent for East Baton Rouge, LA and was an economist with the American Sugar Cane League in Thibodaux, Louisiana. In 1966, he moved to Clewiston, Florida to join the Florida Sugar Cane League as Vice President and General Manager. He met, fell in love and married Anita Lee Cowart in Pahokee, Florida on May 13, 1967. In 1978, Fairbanks joined United States Sugar Corporation as Vice President, Corporate Development and later became Executive Vice President. When John B. 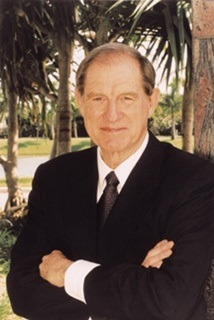 Boy retired from U.S. Sugar at the end of 1987, Fairbanks was named President and Chief Executive Officer and served in this capacity until his retirement in 2000. During his time with U.S. Sugar, Fairbanks was instrumental in establishing the ESOP retirement plan for U. S. Sugar employees in 1983. Also, in 1983, the company purchased South Central Florida Express Railroad. Under Fairbanks, cattle operations were converted to citrus groves in 1986 and the company built the newest and most efficient citrus processing plant of the time. He was influential in the development of the Everglades Forever Act in 1994. Fairbanks and the employees of U. S. Sugar, along with retirees, growers and many community members led the sugar industry in defeating a statewide penny-a-pound sugar tax in 1996. Governor Lawton Chiles appointed Fairbanks to the Governor's Commission that later developed the Comprehensive Everglades Restoration Plan. He oversaw U.S. Sugar's transition to one hundred percent mechanical sugarcane harvesting and the addition of refined sugar production with the construction of the Clewiston Refinery. Fairbanks was very active in Tallahassee and Washington D.C. in protecting sugarcane farmers and the Clewiston community. 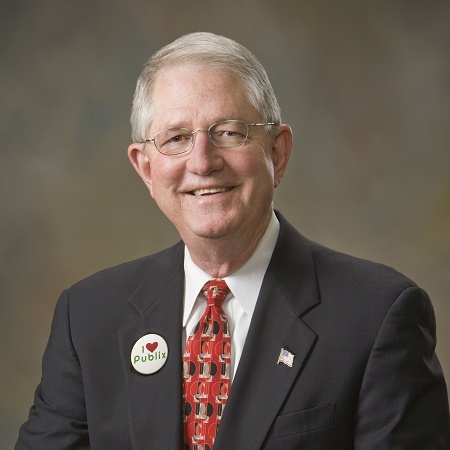 He also served as a director for several organizations, including the Florida Council of 100, the Florida Sugar Cane League and the Florida Council on Economic Education. He received the Northwood University "Outstanding Business Leader" award for his lifetime support of education. Above all, he was a devoted Christian and family man with the highest ethical values. He was a member of First United Methodist Church in Clewiston until moving to Orlando. He became a member of St. Luke's United Methodist Church and was a dedicated member of the Greater Good Men's Discussion Group, a gathering open to men who are committed to faith, growth, and encouragement at his church. He and his wife were active in different organizations providing assistance to families in need in the Orlando area. His was a life spent helping others in his community. Fairbanks has always been known for his love of sports and his love of the Clewiston community. For the past five years, the J. Nelson Fairbanks/U. S. Sugar Golf Tournament held in his honor has raised more than $216,000 for Clewiston's golf course and recreational programs. In 2016, the City of Clewiston unveiled a plaque christening the back nine holes, "The Fairbanks Back Nine." As a final honor, recognizing his lifetime love of golf and support of the Clewiston Golf Course, a memorial gift rather than a tournament will be made this year. Fairbanks lived in Clewiston for over forty years and raised his family there. After retirement, he and his wife moved to Windermere, Florida to be near his family. He is survived by his beloved wife of nearly 52 years, Anita, his children: Vanessa Fairbanks (John) Hodak of Orlando, Florida and Jay (Olga Penton) Fairbanks of Boone, North Carolina and his grandchildren: Hanna Hodak and Dylan Hodak and Preston Fairbanks and Lilly Fairbanks. He also leaves behind nieces and nephews; Cora Brakhage, Diana Dueease, Edward Brasher and Freda White. Internment took place at Ridgelawn Cemetery in Clewiston. Woodward Corners by Beaumont, a 117,000 sq. ft. commercial development located at the intersection of Thirteen Mile Road and Woodward Avenue in Royal Oak, MI., has new retailers on board including the property’s largest tenant, Woodward Corner Market. The redevelopment plan features six buildings, including a five-story hotel and an array of restaurants and other retail offerings in an attractive setting with green space, landscape gardens and community gathering areas. The first businesses will open this summer. “It’s exciting to see all of the progress at Woodward Corners by Beaumont,” Carolyn Wilson, Beaumont Executive Vice President and Chief Operating Officer, said. “A community survey of local residents, our employees and patients guided our development of the property. And, we are still looking for a few more businesses that might be interested in the project.” Woodward Corner Market will be a 40,000 sq. ft. neighborhood grocery store operated by Meijer. The store will focus on offering customers a unique grocery shopping experience, much like the retailer’s first small format store, Bridge Street Market, which opened in August 2018 in Grand Rapids. Woodward Corner Market will feature a vast assortment of fresh food; local, artisan groceries; and Meijer and national brand products at low prices. Woodward Corners will connect with the Beaumont Hospital campus through easily accessible walking paths. That connection will help enhance the experience for the surrounding community and for the up to 13,000 people who visit Beaumont, Royal Oak each day, according to hospital President Nancy Susick. WOODWARD CORNERS BY BEAUMONT (pictured above), a 117,000 sq. ft. commercial development located at the intersection of Thirteen Mile Road and Woodward Avenue in Royal Oak, MI., has new retailers on board including the property’s largest tenant, Woodward Corner Market. The Kroger Co. and Ocado have announced Central Florida and Mid-Atlantic as the newly-named regions for America's next two customer fulfillment centers (CFC). "Kroger is excited to partner with Ocado—one of the most innovative, advanced companies in the world—to redefine the grocery shopping experience for customers along the East Coast," said Rodney McMullen, Kroger's chairman and CEO. "We are incredibly excited to introduce customer fulfillment centers in this region to deliver on our Restock Kroger vision to serve America through food inspiration and uplift." Kroger has committed to building 20 CFCs, powered by Ocado, to accelerate its ability to provide customers with anything, anytime and anywhere. The CFC model – an automated warehouse facility with digital and robotic capabilities, also known as a "shed" – will be replicated to serve customers across America. In November 2018, Kroger announced its first CFC will be constructed in Monroe, OH, a suburb north of Cincinnati. "Kroger is developing the retail model of the future through our exciting partnership with Ocado, a UK-based company with global ties," said Alex Tosolini, Kroger's senior vice president of new business development. "We will co-innovate with Ocado to develop the best possible experiences for our customers, leveraging advanced robotics technology and creative solutions." "This announcement marks another important step toward combining Kroger's long-standing dedication to innovative and world-class grocery services with Ocado's unique, industry-leading technology," said Luke Jensen, CEO of Ocado Solutions. "As the U.S. retail landscape continues to change, these CFCs will play a crucial role in helping Kroger offer its customers a superior online shopping experience in these two major markets." 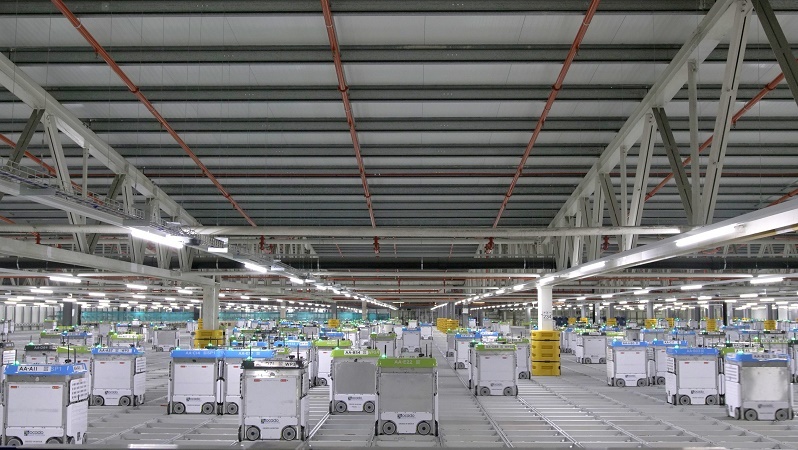 KROGER’S first customer fulfillment center (pictured) – an automated warehouse facility with digital and robotic capabilities, also known as a “shed” – will be constructed in Monroe, OH, a suburb north of Cincinnati. Product of the Year USA, the world's largest consumer-voted award for product innovation, proudly announced the highly-anticipated winners of the 2019 Product of the Year Awards. Determined by a national study of 40,000 consumers conducted by Kantar, a global leader in consumer research, the 36 winning products have been awarded as the most innovative products of the year in their respective categories. The 36 winners of the 2019 Product of the Year Awards were announced at last night's annual Product of the Year Awards Show at the Edison Ballroom in New York City and can be found online at womansday.com. The night kicked off with a red carpet, hosted by Sara Gore, which led into the awards show, hosted by Ross Mathews and Ali Wentworth, and was followed by an after party sponsored by Strongbow. 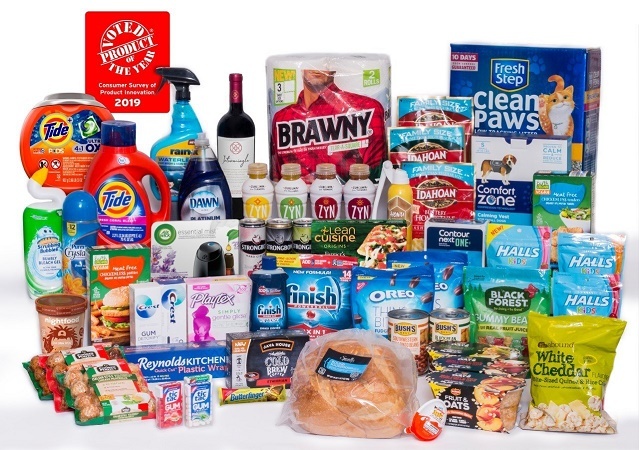 "Backed by the votes of over 40,000 everyday consumers, the distinctive Product of the Year logo helps shoppers identify the best new products in the supermarket, and saves them valuable time and money during the shopping experience," said Mike Nolan, CEO of Product of the Year. "In an increasingly competitive and saturated marketplace, the Product of the Year seal of approval gives our winning products a powerful tool proven to increase product trial, consumer awareness, distribution and sales." • BREAD | ALDI Specially Selected Sliced Sourdough Round – ALDI, Inc.
• KIDS NOVELTY SNACK | Kinder Joy - Ferrero U.S.A.
• SIDE DISH | Idahoan Family Size Flavored Mashed Potatoes - Idahoan Foods, LLC. • VEGETARIAN ENTRÉE | ALDI Earth Grown Chickenless Patties or Tenders – ALDI, Inc.
• WINE | ALDI Intermingle Red Blend – ALDI, Inc. Despite recent news of a shortage in America's favorite Valentine's Day candy, a broad variety of Brach's Conversation Hearts are currently available at a wide array of retailers around the country, helping ensure everyone can share the love this year. Brach's, the No. 1 conversation heart producer and the overall leading non-chocolate brand at Valentine's Day, offers heartfelt messages in a wide variety of classic and inventive flavors, sizes and packages. "Brach's is and has been the leader in the conversation hearts category for years. In 2018, Brach's had 55 percent market dollar share among the top four brands in the segment. In terms of pounds sold, we outpaced our nearest former competitor nearly three to one. Brach's size, texture, colors, sayings, flavors and quality provide the perfect sweet solution for those conversation heart lovers who are lamenting over reports that this Valentine's favorite is not available this year," stated Hans Becher, General Manager Brach's and Seasonal Confections at Ferrara Candy Company. 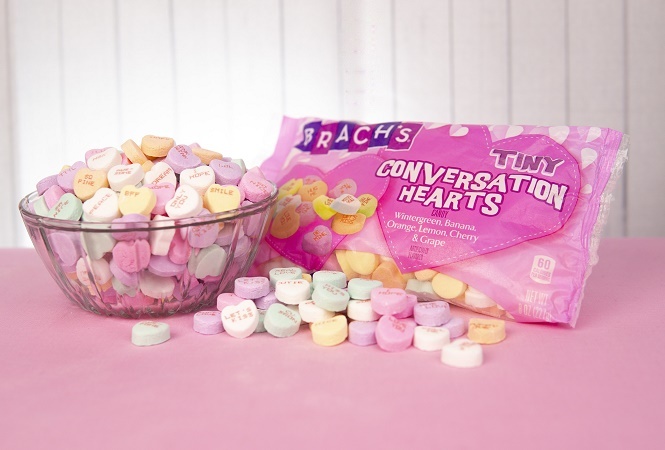 Brach's Tiny Conversation Hearts are available in classic flavors including wintergreen, banana, orange, lemon, cherry and grape as well as on-trend flavors including Tropical Fruit, Very Berry and Sweet and Sour. To further tap into trends, Brach's has added new culturally relevant phrases and colloquialisms to Conversation Hearts on a regular basis, ensuring contemporary expressions, acronyms and emoticons are brought to life. Newer sayings include TTYL (Talk To You Later), Adorbz, BFF, and LYMY (Love You Miss You). These, combined with other contemporary expressions such as Text Me, Yowsa, and ILU, bring this classic Valentine's Day candy conversation into the 21st century. These newer sayings join timeless and perennially popular phrases that are more common to the category, such as Be Mine, Love You, Let's Kiss, Miss You and Hug Me. Brach's Conversation Hearts first appeared in the 1960s and have been a Valentine's staple ever since. "The reason our seasonal brands lead the market lies in the way we combine iconic, time-honored classics with innovative, on-trend elements to deliver candy that helps today's consumer celebrate, bake and decorate with their friends and families," Becher adds. With the Super Bowl almost here, the timing of this new product introduction is perfection. TB12 Plant-Based Protein shakes up the protein game as a great-tasting and sustainable plant-based protein made from peas. Why peas? Peas pack a powerful protein punch — they are rich in lysine (an essential amino acid that is a key to muscle recovery) and arginine (a semi-essential amino acid that promotes healing and blood flow). This balanced amino acid profile provides your body with the daily protein that it needs to support your lifestyle while promoting muscle recovery and growth. 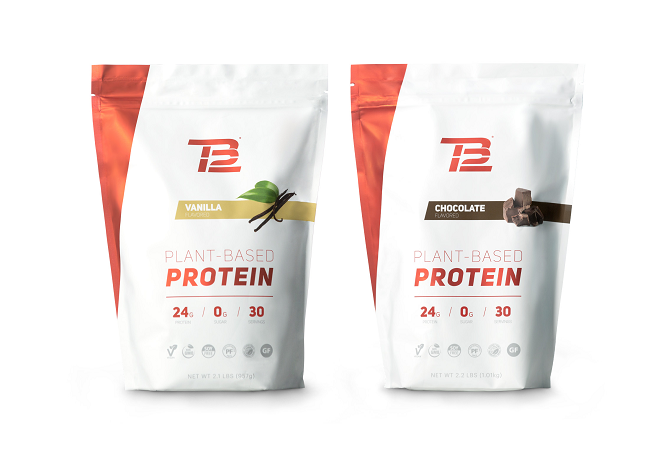 Available in chocolate and vanilla, each bag of TB12 Plant-Based Protein contains 30 servings. Each serving contains 24 grams of protein and 0 grams of sugar and is made with only 7 ingredients (6 ingredients for vanilla). Our protein is always made with the highest-quality ingredients and without any preservatives, fillers, or artificial flavors — so you get all of what you need, and none of what you don’t. What’s sweeter than sharing treats with others – especially at Valentine’s Day? According to a National Confectioners Association survey, 80 percent of Americans say they plan to share chocolate and candy with friends, family and loved ones during this holiday season. And with 92 percent of Americans in agreement that chocolate and candy are a treat, it’s a perfect gift to give in February. For consumers seeking to manage their sugar intake, NCA has launched a new digital hub with a focus on balance and mindful treating, called Valentine’s Day Central. The resources found on Valentine’s Day Central include tools to reinforce the unique role that chocolate and candy can play around the holiday. For more information about chocolate and candy during the Valentine’s Day season, including storage tips, history and fun facts, please visit www.AlwaysATreat.com/ValentinesDayCentral. American adults say they will spend an average $81.30 for a total of $14.8 billion as they watch the New England Patriots and the Los Angeles Rams meet up in the Super Bowl next month, according to the annual survey released today by the National Retail Federation and Prosper Insights & Analytics. The average spending is virtually unchanged from last year’s $81.17 and is the second-highest in the history of the survey after a record of $82.19 set in 2016. The total amount is down from last year’s $15.3 billion, primarily because fewer people plan to watch the game – 182.5 million this year compared with 188.5 million last year. The overall spending is still the third-highest on record, after last year’s figure and $15.5 billion in 2016.
:The survey found that 76 percent see the commercials as entertainment and that only 10 percent say they are influenced to make a purchase, but the ads carry more weight among younger viewers. Of those ages 18-24, 17 percent say the commercials influence them to buy and 16 percent are prompted to search online for more information. The survey of 7,384 adults 18 and older was conducted January 2-9, before it was known which teams would play, and has a margin of error of plus or minus 1.2 percentage points. The viewership numbers may differ from other figures such as official TV ratings because they include all individuals who say they will watch regardless of how or where. Andy Ellwood led development at Waze, and has now taken on groceries. Basket – the app that allows you to punch in your entire grocery list and comparison shop all the stores in your area to see where you can get your items for the lowest price possible – is focusing on football. Powered by their real-time and always-current data, Basket dove into the prices paid by Americans for the 2018 Super Bowl, and are forecasting what shoppers can expect to spend on their Super Bowl parties this year. The average cost to host a Super Bowl party went up 4% last year, from $313 to $324. Prices in the South decreased by 12% for chicken wings. The South is (still) winging it – Chicken wings saw an overall price decrease of ~12% in the South, so Basket encourages party hosts below the Mason-Dixon to take advantage of major savings on everyone’s favorite Super Bowl staple. Walmart is the go-to for all your snacking needs. Let’s be honest. Chips & dip are the best part of the Super Bowl, and Walmart has the market cornered on salty savings. There is no competition here. 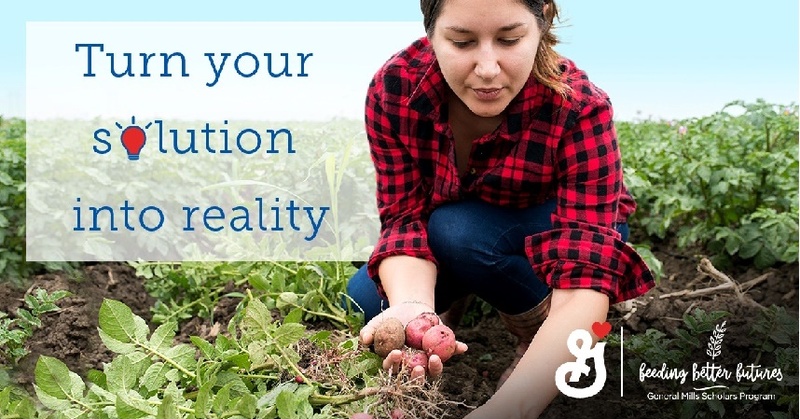 General Mills launched the second year of its Feeding Better Futures Scholars Program, a platform encouraging today's youth to share their solutions to fight hunger, reduce food waste, and grow food more sustainably. Young innovators across North America are invited to submit their ideas for a chance to win $50,000 to further their program, and receive industry mentorship and exposure at the prestigious Aspen Ideas Festival. According to recent estimates, food production will need to increase by 70 percent to feed the world's growing population, which is projected to surpass 9 billion people by 2050. "Feeding future generations sustainably is a complicated problem, and we recognize the need to find solutions now," said Jeff Harmening, chairman and CEO, General Mills. "As a global food leader for over 150 years, we're proud of our efforts to alleviate hunger and promote environmentally responsible practices across our supply chain, but we can't solve these issues alone." To get involved in this year's program, young people ages 13-21 are invited to enter the solutions they're leading in their communities by submitting a short video or photos to www.FeedingBetterFutures.com now through February 26, 2019. General Mills will announce three program finalists in April 2019. KATIE STAGLIANO (Grand Prize Winner): Ten years ago, Katie, 19, started Katie's Krops with the mission to empower youth to grow vegetable gardens and donate the harvest to help feed people in need. Today there are more than 100 Katie's Krops gardens growing across the country. JACK GRIFFIN: Jack developed an app called FoodFinder that connects families with local food pantries. To date, the app has cataloged over 25,000 food pantries in all 50 states. JOY YOUWAKIM: Joy created a solution to use vacant landfill space to grow quality, nutritious produce. KATE INDRELAND: Kate worked diligently on her own ranch to implement regenerative agriculture, new processes to restore important nutrients back to the soil. BRAEDEN MANNERING: Braeden's program, 3B Brae's Brown Bags, helps homeless and low-income populations get access to healthy food and clean water through brown bag donations. He also seeks to empower other young people and has activated over 3,600 volunteers across the country. • Partnering with USDA's Natural Resources Conservation Service to restore and protect pollinator habitat across hundreds of thousands of acres of farmland in North America. • Committing to sustainably source all 10 of the company's priority ingredients by 2020. The company is currently 76 percent of the way there. • Serving as a founding partner of Feeding America, the Global Foodbanking Network and Partners in Food Solutions, and enabling more than 201 million meals through food donations globally since 2010. Partnering with MealConnect to recover and distribute more than 575 million pounds of surplus food in partnership with 90 food banks, facilitate more than 1.2 million food pickups and support more than 4,200 nonprofit hunger relief organizations since 2014. For official rules or to enter in-action solutions for the General Mills Feeding Better Futures Scholars Program, visit www.FeedingBetterFutures.com. With less than one month until the Big Game, Litehouse, Inc., a 100 percent employee-owned company and the No. 1 Refrigerated Salad Dressing (RSD) brand in the combined U.S. and Canada, will kick off its annual retail promotion on January 20. 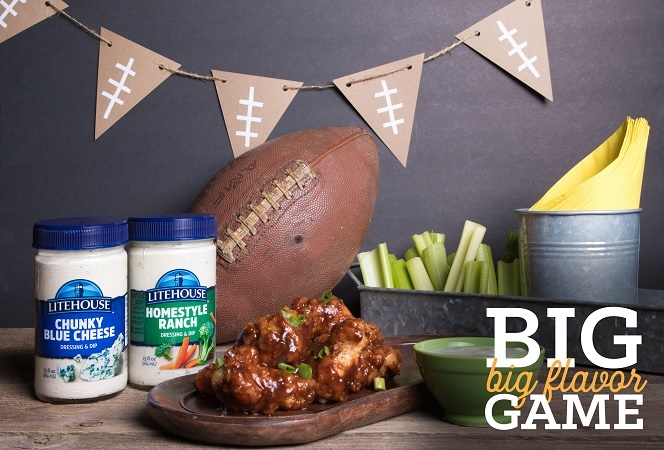 The “Big Game Big Flavor” promotion will highlight two fan favorites – Homestyle Ranch and Chunky Blue Cheese dressings and dips – and support retailers by driving sales with discounted pricing during an important time period. The market leader in ranch and blue cheese dressing, Litehouse Homestyle Ranch and Chunky Blue Cheese dressing sales are up a combined 24 percent year-over-year, and retailers promoting with Litehouse typically see a 40 percent increase in sales. 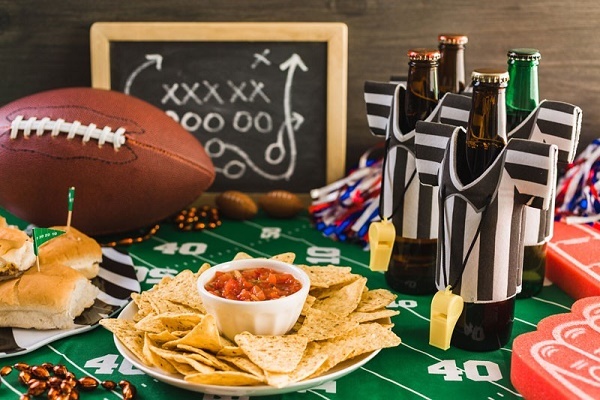 This strong performance, and the demand for versatile dressings and dips during the Big Game, illustrate a powerful opportunity for retailers to promote with Litehouse. A delicious combination of fresh herb and vegetable flavors, Litehouse Homestyle Ranch was declared the best-tasting ranch dressing by consumers during a blind sensory test against competing brands. Made with fresh buttermilk, homemade mayonnaise, and the perfect blend of spices, Litehouse Chunky Blue Cheese combines Litehouse’s original blue cheese recipe with loads of award-winning artisan blue cheese chunks. These Litehouse dressings are refrigerated, gluten-free, contain no high fructose corn syrup, and are made without any artificial flavors, colors or preservatives. “Big Game Big Flavor” runs January 20 through February 9 and will be supported by offline and online initiatives, including: Consumer savings and promotional pricing at select retailers; In-store signage and sampling; A satellite media tour hosted by a lifestyle expert; Content and recipes from bloggers and social media influencers and Online consumer sweepstakes. Beginning January 18, consumers can visit the Litehouse website to enter the “Big Game Big Flavor” sweepstakes for a chance to win a 65-inch flat screen television. To learn more about the sweepstakes and promotion, follow Litehouse online or visit www.LitehouseFoods.com/sweepstakes. January 14 marks National Pastrami Day, and to celebrate pastrami’s role in American culture, the North American Meat Institute and Beef Checkoff released new video recipes that showcase this succulent beef’s versatility. 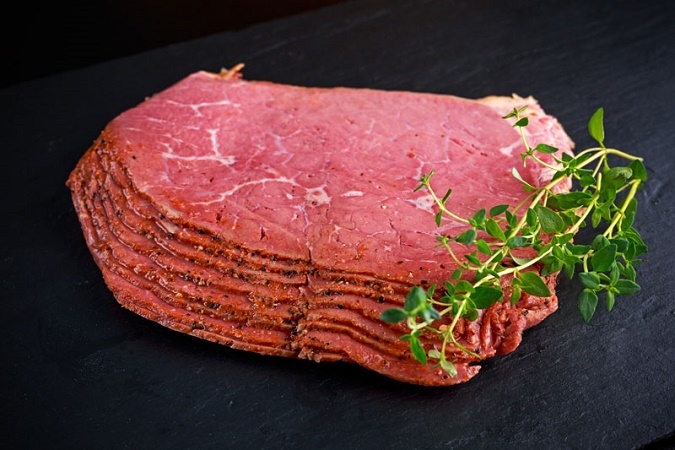 Americans’ love of pastrami dates back to its arrival in the late 1800s, when it was first served in New York City by Lithuanian immigrant Sussman Volk, who was given the recipe by his Romanian friend in repayment of a favor. By the 1920s and 30s, delis in New York City’s theater district helped further popularize pastrami, often serving stacks of the delicious meat on rye with a pickle on the side. The pastrami sandwich became closely linked with Jewish culture and celebration, and pastrami was commonly served at weddings and bar mitzvahs – again, only on rye. The new video recipes show that today’s pastrami is not just for stacking on rye. They feature innovative pastrami dishes for each meal, including pastrami, egg and cheese for breakfast; pastrami tacos for lunch; pastrami-inspired barbecue for dinner and a pastrami boosted burger. The Meat Institute and Beef Checkoff will be highlighting all of these resources and more using #NationalPastramiDay on January 14. While salt and pepper remain staples in every kitchen, consumer’s taste buds are demanding new and exciting flavors. Even garlic has expanded its portfolio to now include roasted and black garlic for their distinctive roasted and sweet smoky flavor. Chefs and home cooks have busted down the ethnic borders of spices to create unique and delicious meals. New flavors like Sriracha, Zataar, Sumac, Mojo Citrus rubs, Curries, Cardamom, Kale Flakes are being embraced by foodies now more than ever. For example, Hummus and Couscous sounded just as exotic 25 years ago; they are now in every supermarket in America. Aside from the growth of Hispanic, Indian, Asian and other ethnic cuisines, cooks are now handpicking flavors from each culinary culture to create their own fusion of flavors. Sesame Seeds, as an example, are now more present in foods than on just a burger bun. From seared tuna to stir fry meats, sautéed vegetable dishes and salads, these little guys crossed over to mainstream. Not only do people want new and delicious foods, many have their own direction in the kitchen from cooking for health benefits with Turmeric, Hemp, Flax and Cayenne or to using only Organics, which its growth is the leading segment in this fast changing category. Many want to add an element with texture to their meals with Sliced Almonds, Flax Seeds, Pumpkin Seeds or Pine Nuts. Coconut Milk, Ghost Pepper sauce along with Capers and Olives are also jumping into the arena to add an exciting new flavor for your taste buds. While spices are less than 1% of the cost of a meal, they are 99% of the flavor. 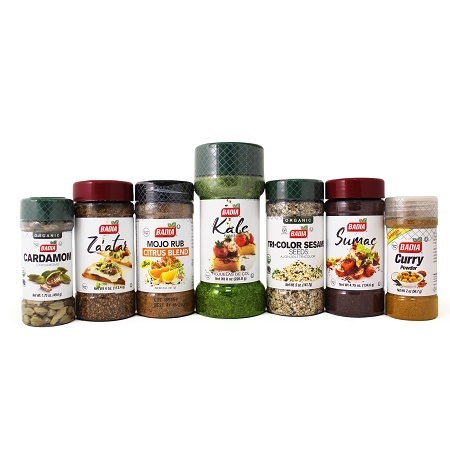 Spices are the signature flavor of the cook. Chicken can now be made 1000 ways! Stay tuned, Specialty Salts, Peppers and many other exotic flavors are on their way to your dinner plate. 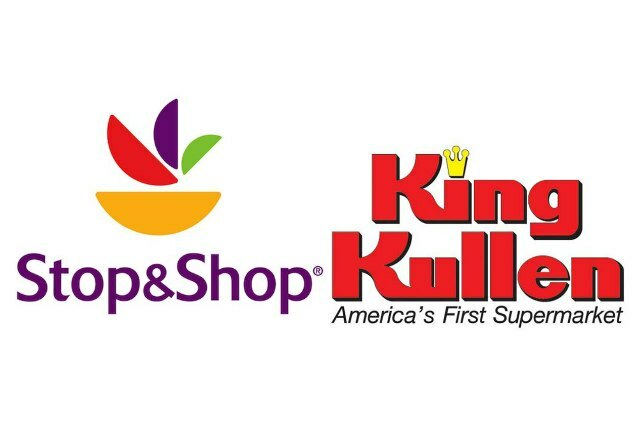 Stop & Shop has agreed to acquire King Kullen Grocery Co., Inc. The agreement includes King Kullen’s 32 supermarkets, five Wild by Nature stores and the use of its corporate office located in Bethpage, NY. The acquisition is currently expected to close during the first quarter of 2019, subject to customary closing conditions. "In 1930, Michael J. Cullen opened the first King Kullen and ushered in the era of the great American supermarket,” said Brian Cullen, Co-President of King Kullen Grocery Co. “As a family-owned and operated business, we are very proud of our heritage and extremely grateful to all of our associates and customers for their support over the years. We are confident the Stop & Shop brand will carry on our legacy of service in the region." The Food Partners, LLC served as the financial and strategic advisor to Stop & Shop. JP Morgan served as the financial and strategic advisor to King Kullen. Krasdale Foods has elevated Steve Silver to the role of President as part of the 110-year old company’s succession plan. Silver has been with Krasdale 37 years and, in addition to his new role, will continue to serve as Chief Operating Officer and as a member of the Board of Directors. Over the years, he has played a major role in expanding Krasdale into the largest grocery distributor in New York City while also building out its vertically integrated structure. Krasdale has grown from a New York-centric brand to a multi-state grocery servicer and supplier, providing personalized counseling, and business and marketing support to multiple generations of entrepreneurs. “Together with Steve, the Executive Management Team and the entire Krasne family we will continue to carry out our mission of empowering independent food retailers,” said Thatcher Krasne, a third-generation owner and member of the Board of Directors who serves as President and CEO of Alpha 1 Marketing, the company’s merchandising and marketing arm. With its headquarters in White Plains, NY, and distribution center in the Bronx, Krasdale services more than 300 independent supermarkets with many of them operating under the C-Town and Bravo banners in the Northeast and Florida, along with hundreds of smaller markets that are located in the New York area. A fully integrated grocery servicer and supplier, Krasdale is comprised of several affiliated companies including Alpha 1 Marketing, Beta II Marketing, Consolidated Supermarket Supply, and KoolTemp Foods. Palladium Equity Partners, LLC, a private investment firm with approximately $3 billion in assets under management, has announced that one of its affiliated private equity funds has made a significant investment in Quirch Foods, Co., a leading distributor and exporter of protein and Hispanic food products based in the U.S. Palladium's investment was made in partnership with the owners and management of Quirch. Terms were not disclosed. Founded in 1967 by the Quirch family, the Company utilizes multiple distribution centers across the U.S. to distribute beef, pork, poultry, seafood and other retail products to independent and ethnic grocers in the U.S. and Puerto Rico, U.S. national retailers, and Latin American export markets. Quirch's extensive portfolio of owned and licensed brands includes Panamei Seafood, Mambo and Chiquita Frozen. Palladium will partner with the Quirch family and management team with the goal of expanding the Company's market reach via a series of growth initiatives including expansion into new product offerings and geographies, and potential acquisitions in the food distribution industry. Palladium's current and past investments in the food industry include Spice World, a garlic and spice company; Kar's Nuts, a snack nut and trail mix product company; Del Real Foods, a Hispanic refrigerated foods company; GoodWest Industries, a provider of beverage dispensing solutions; Teasdale Foods, a producer of bean and hominy products; Sahale Snacks, a manufacturer and marketer of premium, branded nut and fruit snacks; Wise Foods, a manufacturer and marketer of salty snacks; and Castro Cheese, a manufacturer and distributor of premium, authentic Hispanic cheeses and other dairy products. Luis Zaldivar, a Senior Managing Director of Palladium, said, "Quirch represents a unique opportunity for Palladium to leverage its experience investing in the U.S. Hispanic market, founder-owned businesses, and fragmented industries. We are excited to partner with Quirch's management team along with the Quirch family to help support the Company's next phase of growth." Frank Grande, President of Quirch, told TODAY’S GROCER, "The partnership with Palladium will allow Quirch to better serve our customers and accelerate our growth – while upholding the legacy and core values instilled by the Quirch family that have made Quirch a success since its founding." Mauricio Quirch, a member of the Quirch family, said, "We are excited to partner with Palladium, which shares our vision of maintaining the Company's legacy as a strong business with proud heritage and identity. We believe this partnership with Palladium will be beneficial in the Company's next chapter." 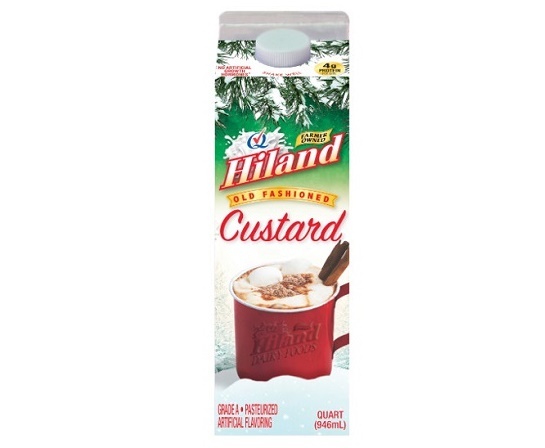 Hiland Dairy Foods Company, a leading farmer-owned dairy producer, has announced a new holiday flavor, Custard has launched and is available where most Hiland products are available. Custard is new to the Hiland Dairy holiday lineup this year. So, what is custard? Hiland Dairy Custard is a seasonal favorite at our locations in the mid-south. It is made from fresh Hiland milk, eggs and sugar. The ingredients are combined and slowly heated until thickened and then chilled and packaged. What makes Custard different from Hiland Dairy Eggnog? Eggnog is made with rich Hiland Dairy cream, eggs and nutmeg. We're often told that custard tastes like melted ice cream. According to Rick Beaman, Vice President, Hiland Dairy, "We are excited to bring this holiday favorite to all of our markets. And we're willing to bet that fans of both our eggnog and the custard will disagree as to which is the best, so we are launching a fun consumer contest during December on our Facebook page to let the votes determine the favorite." Both Hiland Dairy Eggnog and Hiland Dairy Custard are now available at a suggested retail price of $2.79 each. The holiday shopping season kicked off with a bang, with an estimated 164 million people shopping during the five days from Thanksgiving through Cyber Monday, according to information from the National Retail Federation. However, the record number of holiday shoppers during those five days is eclipsed by the estimated 165 million people who shop at a convenience store every day, according to a new report released by the National Association of Convenience Stores (NACS). Time To Shop, a new report recently released by NACS, documents how Americans shop at convenience stores. The report features data collected from national consumer surveys conducted this year by public opinion research firm PSB. 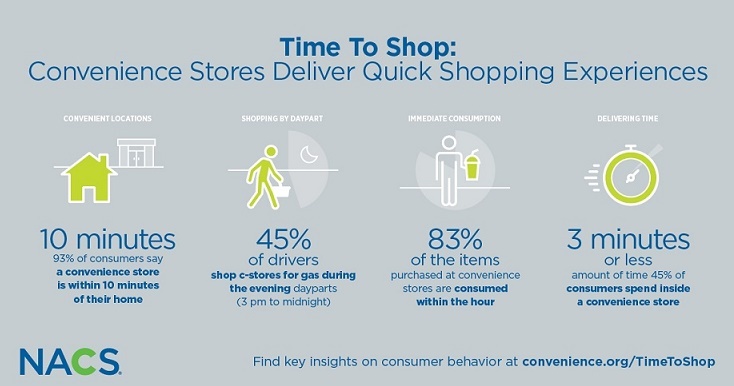 Americans rely on convenience stores to refuel their vehicles, or to grab a quick snack, beverage or meal—in less than four minutes. These shoppers are all visiting convenience stores for the convenience of a one-stop shopping experience with fast speed of service. Most of all, stores fulfill an immediate need to fuel up or fill up: Convenience stores sell 80% of the gas purchased in the United States and inside the store 83% of the food, drinks and snacks shoppers buy are consumed within an hour of purchase. • Convenient locations: 93% of Americans live within 10 minutes of a convenience store, including 86% of those living in rural areas. Convenient location was cited as the top convenience attribute by consumers (33%), outpacing other convenience offerings including “no lines” (30%), plenty of parking spots close to the store (9%) and the ability to order online (6%). • One-stop shopping: 48% of gas customers say they went inside the store the last time they purchased fuel. Of those purchasing an item, 53% say they went inside primarily to purchase a beverage. • Speed of service: Nearly half of all customers (45%) said they were in and out of the store with a purchase in under 3 minutes. Meanwhile, 21% spent more than 5 minutes inside the store, most likely because they were ordering prepared food or dining inside the store. • New convenience opportunities exist: Frequent convenience store customers are most likely to embrace retailers that offer instant pay or cashier-less checkout solutions. Both online ordering for in-store pickup and ordering items from other stores that could be picked up at in-store lockers were also heavily favored by frequent convenience store customers. Last Thanksgiving, Pringles showed the world they deserve a seat at the table when they launched the Pringles Thanksgiving Dinner. The limited time only offering gave snackers the chance to taste eight new innovative, Thanksgiving-inspired flavors. This year, Pringles is upping the ante and giving fans a chance to get their hands on a can (or three) of favorites from last year’s lineup: Turkey, Stuffing, and Pumpkin Pie. Pringles, known for their insanely accurate and innovative flavors, is offering three delicious Thanksgiving tastes to select consumers nationwide. Turkey Pringles are a take on the traditional oven roasted turkey flavor, which instantly became one of last year’s favorites. Stuffing is just like the herb-y side dish that you always seem to pile high on your dinner plate. Last, and by no means least, Pumpkin Pie is sweet and spiced just like your grandma’s recipe. From the Friendsgiving spread, to hostess gifts, to your celebrated family potluck, Pringles Thanksgiving Crisps are perfect for all your holiday social events. 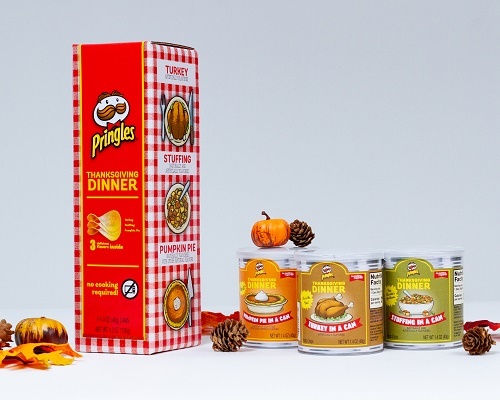 Designed, sealed and delivered to mimic the canned goods in your pantry around the holidays, Pringles Thanksgiving Crisps come in mini Pringles cans. Feel free to stack them, snack them, and share with friends (but only people on the “nice” list). Consumers can purchase a 3-pack of Pringles Thanksgiving crisps for $14.99 at https://www.kelloggstore.com/pringles-thanksgiving-in-a-can. Supplies are limited and are on a first-come, first-serve basis. Lucky’s Market, a growing natural and organic foods grocer that offers affordable options for every day foods and specialty choices, announces solid growth and new signed leases for additional store locations in Florida. 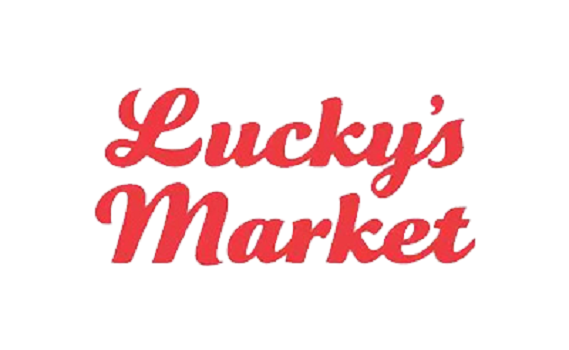 Growing at a steady rate, Lucky’s Market has signed leases for new stores in the following Florida locations: Boca Raton (two locations), Kendall, Bradenton, Brandon and Clearwater. New stores in these cities are scheduled to open in the next 18 to 24 months. Lucky’s Market recently announced that the company will also open two new stores in its home state of Colorado as well new stores in the following locations in Florida: Oakleaf, Bonita Springs, Cape Coral, Naples, Fort Myers, Port Charlotte, Venice, Dania Beach, Downtown Orlando, Vineland, Colonial Landing, Lake Mary, Port St. Lucie, Pensacola and Ormond Beach. Earlier this month, Lucky’s Market opened two new stores in the Orlando-area – Hunters Creek and Winter Park. Lucky’s Market currently operates 33 stores, 15 of which are in Florida. Lucky’s Market was started in 2003 by two chefs with the goal to offer everyone top-quality products at affordable prices with genuine personal service. Lucky’s unique concept includes a wide variety of specialty foods such as: in-house smoked bacon, house-made sausages, fresh seafood, a large selection of fresh, local produce, and a decadent bakery at the store. Lucky’s in-house butcher serves “never ever” meats, which have never been treated with antibiotics or artificial growth hormones. Staying true to Lucky’s culinary roots, customers will also find a department filled with ready-to-eat meals, made from scratch daily inside the store as well as fresh grab-and-go sushi options, hot ramen bars, and hundreds of cheeses from all over the world. Lucky’s Market stores also include juice bars, bulk foods, apothecary departments, beer and wine, inviting café areas and the company’s famous “Sip ‘n Stroll” program where customers can grab a $2 pint of local beer or a $3 glass of wine to enhance their shopping experience. “I want to spend all day in the kitchen fussing over my holiday side dishes,” said no one ever. 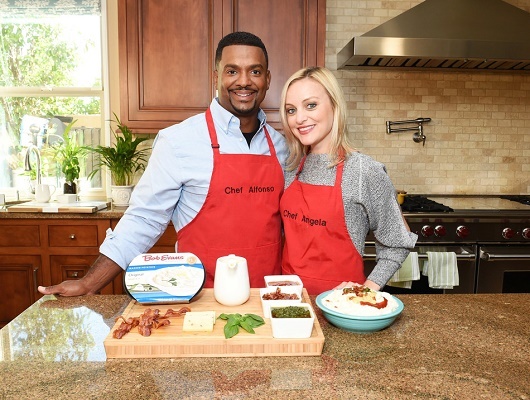 That’s why this holiday season Alfonso and Angela Ribeiro are teaming up with Bob Evans Farms, Inc. to launch “Step One: Done” – a recipe video series that helps even the rookie meal preparer become the MVP of the Thanksgiving meal. The Ribeiro’s “Step One: Done” videos, available at www.BobEvansGrocery.com along with other holiday recipes and tips, use Bob Evans Farms Original Mashed Potatoes to show how to make “really” gourmet side dishes out of refrigerated mashed potatoes in minutes because, in reality, people want to spend less time on sides and more time with their family and friends during holiday meals. The Ribeiro family isn’t unlike many Americans who use prepared sides to make holiday dinners easier. In fact, according to an actual survey conducted by Bob Evans Farms, more than one in three Americans use prepared sides to make preparing meals quicker. The same study found that 20% of those who use prepared sides tell their guests that the dish was homemade by taking credit for the dish. Bob Evans Farms’ survey also found that Gen X and Millennial age groups were much more likely to use prepared sides: 40% and 44% of respondents respectively. Likewise, the study found that men are much more likely to use prepared sides (41%) compared to their female counterparts (31%). Consumers can enter to win* free Bob Evans Farms products for a year by sharing their favorite “one-step” mashed potato recipe at the Facebook.com/BobEvansGrocery. The sweepstakes ends on November 19, 2018. Bob Evans offers a variety of family-favorite prepared side dishes in an assortment of flavors that are perfect for Thanksgiving, including Mashed Potatoes, Macaroni and Cheese, Glazed Apples, and Homestyle Stuffing. For more information, recipes and tips on hosting the perfect holiday meal, visit www.BobEvansGrocery.com. To salute America’s veterans, military and military families, Southeastern Grocers, Inc. (SEG), parent company and home of BI-LO, Fresco y Más, Harveys Supermarket and Winn-Dixie grocery stores, is proud to announce a community partnership with Folds of Honor to celebrate America’s fallen heroes and their families. In addition, an 11 percent discount on qualifying grocery purchases will be offered to veterans and active military this Veterans Day, November 11. Now through November 12, customers can join Southeastern Grocers to honor veterans, military and their families by making a donation to Folds of Honor while shopping at any BI-LO, Harveys Supermarket or Winn-Dixie store. By standing with Folds of Honor, Southeastern Grocers and customers are honoring the sacrifice of fallen and disabled servicemen and women by providing educational scholarships for the spouses and children left behind in the pursuit to protect American freedoms. The Southeast has some of the largest military veteran populations in the country, with more than 4.1 million retired military men and women living in the seven states Southeastern Grocers serves. In the Southeast alone, Folds of Honor has awarded nearly 1,500 scholarships and over $6.5 million in life changing scholarships to deserving U.S. military families this fall. Southeastern Grocers has also pledged to donate one dollar to the United Service Organization (USO) for every dozen premium roses and Celebrate America Bouquet sold between November 7 - 13. SpartanNash will honor current members and veterans of the Armed Forces this Veterans Day by offering an 11 percent discount on all eligible products in its more than 135 corporate-owned retail stores in eight states. 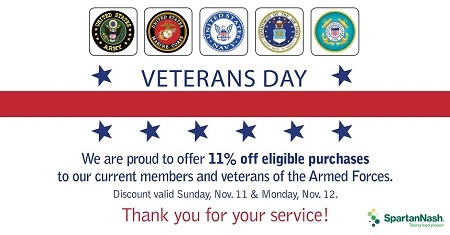 The 11 percent discount will be offered Sunday, November 11 and Monday, November 12. All active duty, Reserve, National Guard and veterans who present proper identification at any SpartanNash corporate-owned store on Nov. 11 or 12 will receive an 11 percent discount*. Participating banners include D&W Fresh Market, Dan’s Supermarket, Dillonvale IGA, Econofoods, Family Fare Supermarkets, Family Fresh Market, Forest Hills Foods, No Frills, Pick’n Save, SunMart, Supermercado Nuestra Familia, ValuLand and VG’s. “As a leading distributor of grocery products to U.S. military commissaries around the world, SpartanNash is committed to serving our military heroes and their families, both at home and abroad,” said Meredith Gremel, Vice President of Corporate Affairs and Communications. “Our commitment to those who served or continue to serve is evident throughout the year, but especially on Veterans Day. We are honored to show our appreciation to these men and women.” SpartanNash stores with flag poles will hold flag-raising ceremonies at 11 a.m. on November 12, which are open to the public and led by local veterans groups or Boy Scout troops. In addition to the 11 percent discount, stores will hold a moment of silence at 11 a.m. and host other in-store commemorations to honor and thank veterans throughout the afternoon. SpartanNash proudly employs more than 700 self-identified veterans and is committed to hiring, training and retaining current and former members of the Armed Forces and their family members. Because of this, SpartanNash was named a silver-level Veteran-Friendly Employer by the Michigan Veterans Affairs Agency and a Military Friendly Employer by VIQTORY. On Veterans Day 2015, SpartanNash began collecting old, worn, frayed and/or faded American flags at each of its retail grocery stores, 19 distribution centers, food processing facilities and four service centers. Each company location then partners with a local veterans service organization to ensure the proper retirement of the flags. More than 2,500 flags have been retired through the SpartanNash program. *Note: The discount does not apply to pharmacy, alcohol, tobacco, lottery, stamps, sales tax, gift cards, bottle deposits, already reduced promotional items and other service counter items. United Natural Foods, Inc. has completed the previously announced acquisition of SUPERVALU INC. for $32.50 per share in cash, or approximately $2.9 billion, including the assumption of outstanding debt and liabilities. The completion follows the satisfaction of all closing conditions including approval of the transaction by SUPERVALU shareholders and receipt of all necessary antitrust approvals. "Today is an important milestone for UNFI. We will take the best from both businesses to create North America's premier food wholesaler with significant scale, reach and choices for our customers. We are pleased to welcome our new colleagues from SUPERVALU as well as their customers and suppliers to UNFI. Our companies share customer-centric cultures and dedicated associates who are committed to continuous improvement, which will help drive our integration programs," said Steve Spinner, UNFI's Chairman and Chief Executive Officer. "We are excited to continue to further build out the store to a more diverse customer base across the country, with both broad better-for-you natural, organic brands and fresh perimeter offerings, as we capitalize on opportunities to cross-sell and realize the benefits of the greater scale we now have as a combined company," said Sean Griffin, Chief Executive Officer of SUPERVALU and Head of the Integration Committee. "Work has already begun for the Company to realize the significant projected run-rate cost synergies associated with this transaction – more than $175 million by year three and more than $185 million by year four – and we are committed to improving profitability into the future. We believe that we can achieve these targets and leverage scalable systems to streamline our processes, more efficiently meet the needs of our customers and reduce future capital expenditures. We look forward to providing an update on our integration efforts at our January 16, 2019 Investor Day." Publix CEO & President Todd Jones has announced officer promotions, effective January 1, 2019. Kevin Murphy, Senior Vice President of Retail Operations (pictured), will be promoted to President. Murphy, 48, began his career in 1984 as a front service clerk in Margate, Florida. He worked in various positions before being promoted to store manager in 1995. He was promoted to Jacksonville Division district manager in 2003, Atlanta Division regional director in 2009, Miami Division vice president in 2014 and to his current position in 2016. In addition to her current role, Laurie Douglas, Senior Vice President and Chief Information Officer, will assume additional responsibilities as Chief Digital Officer. Douglas, 55, joined the company in 2006. Prior to joining Publix, she was senior vice president/chief information officer of FedEx Kinko’s Office and Print Center Inc. Before joining FedEx Kinko’s, she was vice president of information and e-business technology at The Home Depot. Dale Myers, 66, Vice President of Retail Business Development, has announced he will retire after 44 years of dedicated service. With Myers’ retirement, Bob Bechtel, Miami Division Vice President, will be promoted to Vice President of Customer Experience. Bechtel, 55, began his career in 1978 as a front service clerk in Sarasota, Florida. He worked in various positions before being promoted to store manager in 1991. He was promoted to Lakeland Division District Manager in 1995, Lakeland Division Regional Director in 2008 and to his current position in 2016. With Bechtel’s promotion, John Goff, Miami Division Regional Director, will be promoted to Miami Division Vice President. Goff, 45, began his career in 1991 as a front service clerk in Jacksonville, Florida. He worked in various positions before being promoted to Store Manager in 2005. He was promoted to Jacksonville Division District Manager in 2010 and to his current position in 2014. Casey Suarez, 59, Vice President of Distribution, has announced he will retire after 40 years of dedicated service. With Suarez’s retirement, Mike Lester, Director of Warehousing, will be promoted to Vice President of Distribution. Lester, 53, began his career in 1983 as a warehouse selector in Lakeland, Florida. He worked in various positions before being promoted to warehouse superintendent in 2000. He was promoted to distribution manager in 2008 and to his current position in 2014. Jones will continue as Publix’ CEO. Meijer Welcomes 45,000 College Freshmen to "Meijer Mania"
Midwest retailer Meijer is getting ready to welcome more than 45,000 incoming college freshmen as they head to campus this fall during widely-popular shopping celebrations dubbed "Meijer Mania." The annual Back-to-College events celebrate incoming students in style during a night of fun—complete with a DJ, photo booth and interactive contests—while helping them collect their last-minute dorm and classroom essentials. The retailer kicks off Meijer Mania this week, hosting a total of 22 events for 19 colleges across the Midwest through early September. 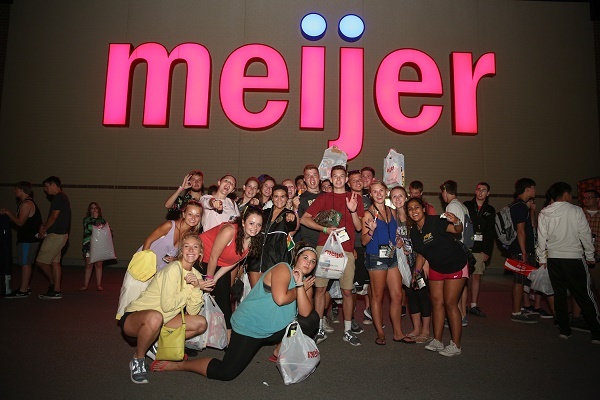 "Our Meijer Mania events provide students the opportunity to shop for their first living spaces away from home and share a fun-filled bonding experience with classmates," said Cathy Cooper, Senior Director of Promotions and Sponsorships at Meijer. "We are pleased to partner with so many colleges and universities to help ease the transition of moving into a new living environment for these students." Meijer began throwing in-store events for incoming college freshmen more than 15 years ago to give students a chance to get to know their peers in a fun atmosphere, and introduce the Meijer brand to those who may not have grown up shopping at the Midwest supercenter—some of whom may need to learn how to pronounce the retailer's name for the first time, Cooper said. In total, more than 45,000 students—anywhere from 300 to 6,500 freshmen per event—will bus from campuses to their local Meijer store for a night of festivities. Typically, a DJ will get the crowd pumped up while students participate in interactive games and contests, snap pictures in the photo booth, and stock their carts with snacks and school supplies. Meijer also provides samples and coupons, and occasionally hosts big-ticket giveaways. One of retail's leading shopping seasons, back-to-school and college is a $82.8 billion industry, according to the National Retail Federation. Meijer Mania events help spread out the spending during a time when college students and their families are busy preparing for the school year. Ibotta, the starting point for rewarded shopping on mobile, today announced the findings of its Dorm Room Eating 101 study, offering students invaluable tips and tricks to save money on the most popular college cuisine. The analysis highlights the continued growth of college-aged Ibotta users, which has nearly doubled since 2016. According to the Hechinger Report, an eight-month meal plan at a U.S. college costs an average of $4500, double what meal plans cost a decade ago. This is also roughly $600 more than what a single person spends on a food in an entire year, according to the Bureau of Labor Statistics. "Ibotta users have earned more than $375 million in cash rewards, but most college students I know would be thrilled with just an extra $5 every week," said Bryan Leach, Founder and CEO of Ibotta. "Becoming a savvy shopper is easier than students think, and letting Ibotta reward you with cash back is great way for them to build good shopping habits. Whether you're saving for your future, or just in need of a late-night pizza, every little bit adds up." BEST DAYS TO BUY COLLEGE FOOD After analyzing more than 233 million receipts from 2015 - 2018, Ibotta researchers found college-aged shoppers are doing a majority of their grocery shopping on Sundays, compared to most Ibotta users who shop on Saturdays. They’re also more likely to be wandering grocery aisles after 6pm compared to Ibotta users overall. RAMEN - four percent cheaper on Tuesday vs. Wednesday, the worst day to buy. CHIPS AND POPCORN - two percent cheaper on Thursday vs. Sunday, the worst day to buy. SOUP - two percent cheaper on Saturday vs. Monday, the worst day to buy. MAC & CHEESE - three percent cheaper on Thursday vs. Tuesday, the worst day to buy. PASTA – two-and-a-half percent cheaper on Thursday vs. Monday, the worst day to buy. Ibotta researchers also found that Sunday was the best day to buy coffee, sports and energy drinks, and frozen pizza. Ibotta researchers also identified the savviest shopping states for college-aged users. Utah, Idaho and California topped the list, while Colorado, New Hampshire and Florida finished at the bottom of states with the most college-aged Ibotta users. Vernors is once again partnering with Pure Michigan to celebrate the Great Lakes State's coastal landmarks, with limited edition cans featuring seven iconic Michigan lighthouses. The lighthouses showcased during the promotion include Forty Mile Point (Rogers City), Old Mackinac Point (Mackinaw City), Point Iroquois (Brimley), Point Betsie (Frankfort), Little Sable Point (Mears), St. Joseph and the oldest lighthouse in the state, Fort Gratiot (Port Huron). This is the second year Vernors has teamed with Pure Michigan, an organization that promotes travel and tourism for the state, to highlight the famous lighthouses on cans. Last year, the collectible series showcased five other Michigan lighthouses including Big Sable Point, Crisp Point, Eagle Harbor, Grand Haven and Tawas Point. "We're delighted to be partnering once again with Vernors to feature our state's picturesque lighthouses," said Dave Lorenz, vice president of Travel Michigan, part of the Michigan Economic Development Corporation. "With 129 lighthouses standing along 3,200 miles of Great Lakes coastline, we are proud of these iconic landmarks that make Michigan unique." The lighthouse cans are being sold in 12-packs of Vernors and Diet Vernors at retailers now through mid-October 2018. United Natural Foods, Inc. and Supervalu Inc. have entered into a definitive agreement under which UNFI will acquire Supervalu for $32.50 per share in cash, or approximately $2.9 billion, including the assumption of outstanding debt and liabilities. "This transaction accelerates UNFI's "Build out the Store" growth strategy by immediately enhancing our product range, equipping us to bring an attractive, comprehensive product portfolio to an expanded universe of customers," said Steve Spinner, UNFI's Chief Executive Officer and Chairman. "Combining our leading position in natural and organic foods with Supervalu's presence in fast-turning products makes us the partner of choice for a broader range of customers. Together, we can provide our "better for you" products as well as other high-growth segments, improving customers' competitive advantages in a dynamic marketplace. These benefits, plus our increased efficiency and productivity, will enable us to create value for our shareholders, enhance opportunities for our suppliers, provide a broader assortment for our customers and create new prospects for our associates over the long term." 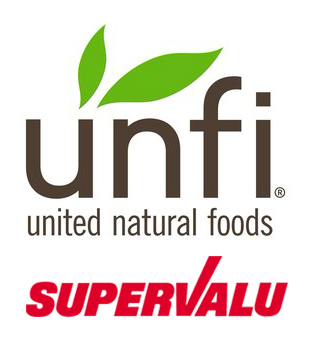 "The combination of UNFI and Supervalu provides a substantial premium and delivers certainty of value to our stockholders, meaningful benefits to our customers, expanded opportunities for our employees, and the ability for us and our vendors to efficiently serve a varied customer base," said Mark Gross, Supervalu's Chief Executive Officer. "We have been executing an ambitious strategic transformation for over two years. We believe that this transaction is the best and natural next step for our stockholders, customers and employees. I am very proud of the unwavering commitment and focus of our employees in driving our strategic transformation and serving our customers. I am confident that, together, Supervalu and UNFI will be well positioned to succeed – and to help our customers succeed – in today's grocery landscape." 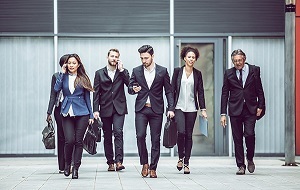 Diversifies customer base: The transaction will greatly expand UNFI's customer base and exposure across channels, including those where demand for "better for you" products is increasing and UNFI is under-represented. It will also unlock new opportunities through a comprehensive product portfolio. ENABLES CROSS-SELLING OPPORTUNITIES: UNFI will benefit from its ability to deliver comprehensive and expanded offerings, including the addition of high-growth perimeter categories such as meat and produce to UNFI's natural and organic products. EXPANDS MARKET REACH AND SCALE: The wider geographic reach and greater scale of the combined entity is expected to increase efficiencies and effectiveness. Enhances technology, capacity and systems: The combined entity plans to leverage scalable systems to streamline its processes, more efficiently meet the needs of its customers and reduce future capital expenditures. DELIVERS SIGNIFICANT SYNERGIES: Through this combination, UNFI will be positioned to realize run rate cost synergies of more than $175 million by year 3. ACCELERATING GROWTH: After year one, the transaction is projected to be accretive to Adjusted EPS in year 1 with double-digit Adjusted EPS growth after year 1, excluding one-time costs. UNFI Chief Executive Officer and Chairman Steven Spinner will lead the combined entity. Sean Griffin, UNFI Chief Operating Officer, will lead the Supervalu integration efforts, post close and lead an integration committee comprised of executives from both companies to drive the implementation of best practices from each company and the delivery of important synergies and a rapid and smooth integration. 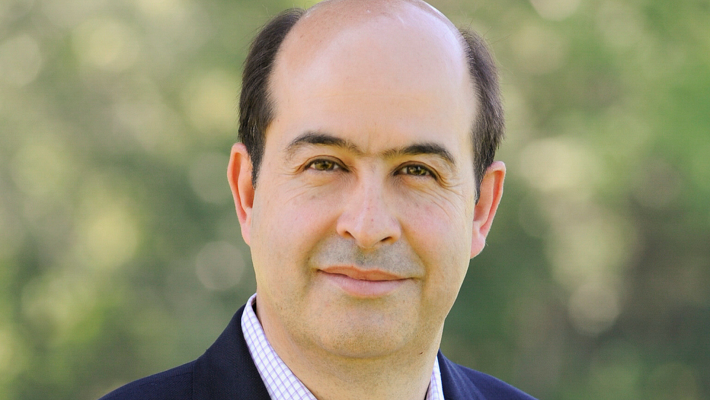 Acosta has announced the appointment of Alejandro Rodriguez Bas as President and Chief Executive Officer. With deep experience at both consumer packaged goods companies and retailers, Rodriguez Bas brings a unique blend of strong strategic and operational expertise, having successfully launched new categories, refined go-to-market models, and optimized sales strategies. Gary Chartrand remains Acosta’s Executive Chairman of the Board and will work closely with Rodriguez Bas during the transition and beyond. Chartrand has a 35-year history with Acosta, having served as its CEO, Executive Chairman of the Board, and, most recently, the added responsibility of its interim CEO. Every year, 7-Eleven stores throw a BIG party to celebrate its birthday on – what else?! – 7-Eleven Day, better known as July 11 (7/11) on the calendar. Instead of cake and candles, the world's largest convenience retailer celebrates with FREE Slurpee drinks, inviting millions to the party. The company introduced convenience retailing 91 years ago and is now the largest convenience chain in the world. The Slurpee celebration followed by "seven deals in seven days" also give hungry Slurpee drink fans an opportunity to try some of the newest 7-Eleven fresh food menu items from artisan sandwiches to decadent brownies. Participating U.S. stores will give away an estimated 9 million free small Slurpee drinks from 11 a.m. to 7 p.m. local time, Wednesday, July 11 (7/11), while supplies last. The featured Slurpee flavor is Cap'n Crunch's Crunch Berries, recreated as a delicious frozen treat from one of America's most beloved cereal brands. 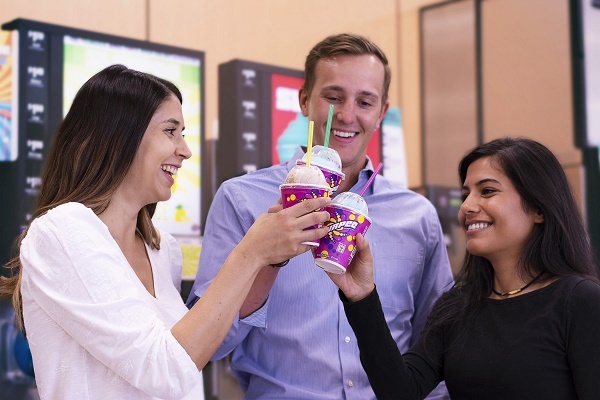 "Free Slurpee day may be the most anticipated day of the year for millions of 7-Eleven customers and new customers alike," said Raj Kapoor, 7-Eleven Senior Vice President for Fresh Food and Proprietary Beverages. "7-Eleven Day is a celebration, not only of our birthday, but more importantly, of our customers. I encourage everyone to look around the store, grab an old favorite like a Big Bite hot dog to enjoy with their free Slurpee drink or maybe try something they haven't. 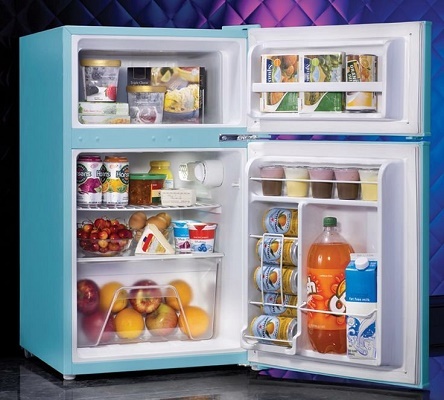 We have lots of delicious new choices in stores." 7-Eleven is celebrating its birthday – and the "dog days" of summer – with $1 Big Bite hot dogs on its July 11 birthday, and a week later on National Hot Dog Day, July 18. The featured Big Bite flavor is The Reaper, a seriously spicy 7-Eleven exclusive hot dog made with 100 percent beef and topped with Carolina Reaper seasoning blend. Customers can dress their dogs for free at participating stores with chili, cheese, pickles, onions, jalapenos, relish, pico de gallo and more at the condiment bars near the grill. For hungry customers wanting to try something new, 7-Eleven has introduced 7-Eleven Bistro sandwiches. The new 7-Eleven Bistro sandwiches, made with premium quality ingredients on fresh-baked bread, are available nationwide at participating stores. The Trio contains black forest ham, smoked turkey, roast beef, provolone cheese, lettuce and tomato with spicy mustard and mayo on an onion roll. Purchase of a 7-Eleven Bistro sandwich with single-serve bag of 7-Select chips earns 400 7Rewards points. Participating locations will also offer one or more regional premium options. Each sandwich contains at least 4 ounces of meat and is hand-wrapped. But, wait! There's s'more! New in the fresh bakery case is everyone's favorite campfire treat in brownie form. The S'mores brownie is a classic fudge brownie baked over a layer of graham crackers and topped with toasted mini marshmallows. Suggested retail price for the limited-time item is $1.99, and each purchase through the summer earns 200 7Rewards bonus points through the 7-Eleven app. 7-Eleven, the first convenience store, began its run in 1927 when a Southland Ice Company employee began selling bread, milk and eggs on an ice dock in a Dallas suburb. Since that inauspicious start, "convenience" has become a big business. The small ice company has grown into a major international retailing chain with almost 12,000 7-Eleven stores in North America and more than 66,000 stores worldwide. Every year, July 11 marks the day that the world's No. 1 convenience retailer observes its birthday and other company milestones. 7-Eleven introduced its iconic frozen carbonated beverage in 1966, and it was an immediate hit. The next year, the company's advertising director coined the word "Slurpee" to describe the sound the drink made traveling through the straw. And a star was born. The retailer started the free Slurpee drink birthday tradition in 2002. Wacky flavor names and quirky radio spots created a drink craze among teens and young adults, the same demographic group that today makes up the drink's biggest fans. Slurpee drinks enjoy worldwide popularity, with more than 7.5 billion Slurpee drinks sold during its colorful history, enough for everyone on earth to enjoy one. The 7-Eleven mobile app is available via the App Store or Google Play. After downloading, customers can register to become a 7Rewards members and earn free drinks and points on every purchase. Nathan’s Famous is giving cooks nationwide another reason to break out the grill this summer. Just in time for the Fourth of July, the makers of America’s favorite hot dog are excited to introduce a new All Natural 100 percent beef hot dog. 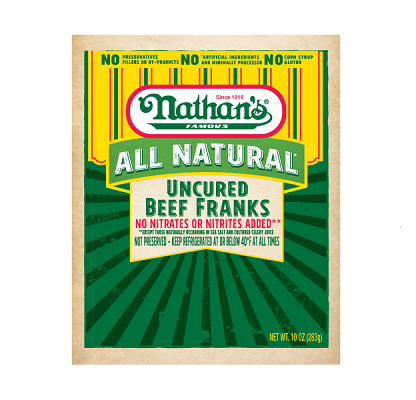 The new franks have the same great quality as the original Nathan’s Famous premium hot dogs and are minimally processed, uncured, and are free of nitrates and nitrites. The hot dogs will be available year-round at MSRP $4.79 per 6-pack. Consumers can grab the Nathan’s Famous All Natural hot dogs at most mass grocery retailers nationwide to start the sizzle this summer. • Enable the Company to achieve its strategic transformation plan in a tax efficient manner that may facilitate the ability to utilize a material portion of Supervalu’s capital loss carry forward, which could generate approximately $300 million of cash tax benefits for the Company over the next approximately 15 years. Supervalu stockholders are being asked to consider and vote upon the Holding Company Proposal at the Company’s 2018 Annual Meeting of Stockholders. The Holding Company Proposal and realizing the desired benefits from the reorganization are subject to certain conditions and future events, including approval by our stockholders. Kroger Mid-Atlantic will exit the Raleigh-Durham market on or about August 14, closing its 14 stores. “After a thorough evaluation of the market for a significant time period, we have decided to close our stores in the highly competitive Raleigh-Durham market,” said Jerry Clontz, President of the Mid-Atlantic Division of Kroger. “While we have had some success, we have not been able to grow our business the way we would like in this market. The closings will impact approximately 1,500 associates, more than half of which are part-time. “We’ve been a part of the Raleigh-Durham market since 1989, and our associates have provided customers with top-notch service,” said Clontz. “Helping them through this transition is our number one priority. Kroger is selling all 14 stores which are expected to close on August 14. The Company is currently under contract with Food Lion for one store, Crunch Fitness for one store and Harris Teeter for eight stores. “We are continuing discussions and exploring potential options for the remaining stores,” said Clontz. Locations of the eight stores that Harris Teeter has agreed to acquire are: 202 W. NC Hwy 54, Durham; 3457 Hillsborough Rd., Durham; 5116 N. Roxboro Rd., Durham; 1273 N.W. Maynard Rd., Cary; 8345 Creedmoor Rd., Raleigh; 940 US Hwy 64, Apex; 1802 North Point Dr., Durham and 1371 E. Broad St., Fuquay-Varina. Crunch Fitness will acquire the store at 6300 Creedmoor Rd., Ste. 150, Raleigh. Food Lion will acquire the store at 7905 Falls of Neuse Road, Raleigh. The transactions described remain subject to customary closing conditions. Kroger Mid-Atlantic worked with The Food Partners, a Washington, D.C.-based, grocery industry focused investment banking firm, as a strategic adviser for the divestiture of these stores. Kroger Mid-Atlantic operates 108 additional stores in Virginia, West Virginia, Tennessee, Kentucky and Ohio. Man Crates, the ultimate men's gifting company, is helping families everywhere create memories with the special guys in their lives this Father's Day. Following a shocking survey which found that 40 percent of people are more likely to shop for Mother's Day than Father's Day, and the National Retail Federation reported that consumers spent nearly $8.1 billion more on Mother's Day than Father's Day in 2017. • Sixty-five percent of respondents admitted to purchasing boring gifts like ties, belts, etc. 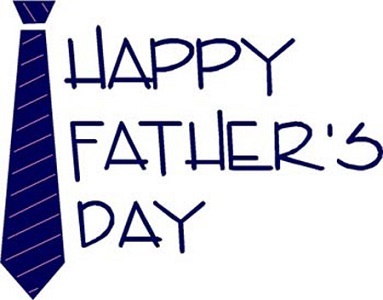 • Eighty-four percent of people in the U.S. care more about Mother's Day and Father's Day. • People are almost twice as likely to spend money for Mother's Day as compared to Father's Day. • Eighty-three percent of people are more likely to create a special event for Mother's Day than Father's Day. "This Father's Day we want to save dads from being forgotten altogether, or worse, getting another pair of socks" says Jon Beekman, Man Crates Founder and CEO. "Over the past few years, people have shifted toward giving their loved ones experiences rather than just physical gifts. We're big on making memories that last a lifetime, so we design every Man Crates gift to be an interactive experience that the giver and recipient can share together. When he pries open a Man Crate with a crowbar, he'll get a bunch of cool products just for him, but more importantly, everyone will have an exciting, unique experience they'll treasure for years to come. While over 80 percent of people are more likely to create a special event for Mother's Day than Father's Day, customers have a chance to give dad something he'll actually love this year. Just in time for Father's Day, Man Crates is releasing an array of new product offerings that are designed to create memories. • Storied Crates feature the perfect pairing of book and drink, to be savored and enjoyed together. Inspired by classic novels, each crate features all you need to craft your perfect cocktail. • Wine explorations gifts with options for the guy who sniffs and spits, who thinks outside the bottle or who pairs food, wine and friends. • Guys who grill will love the new steak-centric gifts, while new food and drink crates will thrill those with an adventurous palette, including the Breakfast Rations Ammo Can, Alaskan Fish and Chips Crate and Smokin' Old Fashion Crate. • DIY Dads will enjoy the extended line of project kits, including Scrimshaw Knife Kit, Lure Making Kit, Sausage Making Kit and Winemaking Kit. 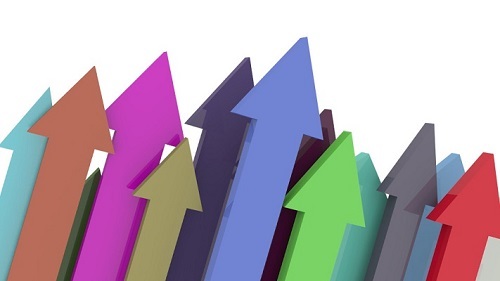 April retail sales increased 0.4 percent seasonally adjusted over March and 2.8 percent year-over-year as consumers continued to spend, the National Retail Federation reports. The numbers exclude automobiles, gasoline stations and restaurants. • Online and other non-store sales were up 12.2 percent year-over-year and up 0.6 percent over March seasonally adjusted. ֳ• Furniture and home furnishings stores were up 5.8 percent year-over-year and up 0.8 percent from March seasonally adjusted. • Building materials and garden supply stores were up 5.6 percent year-over-year and up 0.4 percent from March seasonally adjusted. • Electronics and appliance stores were up 2.2 percent year-over-year but down 0.1 percent from March seasonally adjusted. • Health and personal care stores were up 0.2 percent year-over-year but down 0.4 percent from March seasonally adjusted. • Grocery and beverage stores were down 0.1 percent year-over-year but up 0.4 percent from March. • Clothing and clothing accessory stores were down 0.4 percent year-over-year but up 1.4 percent from March seasonally adjusted. • General merchandise stores were down 0.8 percent year-over-year but up 0.3 percent from March seasonally adjusted. • Sporting goods stores were down 3.8 percent year-over-year and down 0.1 percent from March seasonally adjusted. The Kroger Co. recently announced that its family of stores is hiring to fill an estimated 11,000 positions in its supermarket divisions, including nearly 2,000 management positions. 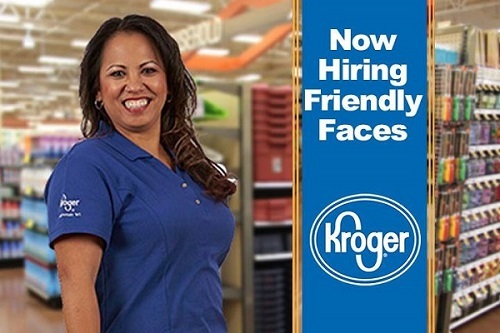 Interested candidates are encouraged to apply at jobs.kroger.com. The Kroger family of stores created 10,000 new jobs in 2017 and 12,000 in 2016. These figures do not include jobs created as a result of capital investment, such as temporary construction jobs, nor do they include increases due to the company's mergers. Kroger and its subsidiaries today employ nearly half a million associates. "Over the last decade, Kroger has added 100,000 new jobs in communities across America," said Tim Massa, Kroger's Group Vice President of Human Resources and labor relations. "In addition to fueling the U.S. economy, many of our supermarket jobs are an opportunity for associates to grow and advance their careers." 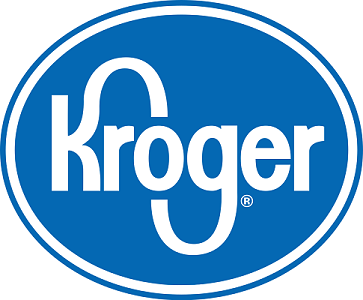 In addition to job creation, Kroger is investing an incremental $500 million in associate wages, training and development over the next three years, as part of Restock Kroger. Last month in Cincinnati, for example, Kroger associates ratified a labor agreement with the UFCW 75 that set the stage for starting wage and overall wage increases in multiple markets across the country. The agreement raised starting wages to at least $10 per hour, and accelerated wage progressions to $11 an hour after one year of service, for associates in the Cincinnati/Dayton division. Kroger has also committed to invest a significant portion of the tax benefit it received from the federal Tax Cuts and Jobs Act in associates' future, which the company plans to announce in detail this month. "Kroger is a place where you can come for a job and stay for a career," Mr. Massa added. "We are committed to creating great entry-level jobs and investing in our associates so they can reach their full potential." My/Mo Mochi Ice Cream has announced the launch of two new lines, My/Mo Ice Cream with Mochi Bits and My/Mo Cashew Cream Frozen Dessert. MY/MO ICE CREAM WITH MOCHI BITS (SRP $5.99) - Mochi lovers rejoice: there’s a new way to enjoy your favorite combination of sweet mochi dough and rich ice cream. An extension of the brand’s commitment to offering creative and colorful snacking options, My/Mo Ice Cream with Mochi Bits brings innovation to the ice cream pint category and provides consumers with a new opportunity to snack on ice cream. Each carefully crafted pint contains a miraculous match of mouthwatering ice cream surrounding pillowy pieces of sweet rice mochi. The new pint-size treats are available in five flavor varieties: Strawberry, Mango, Green Tea, Chocolate and Salted Caramel. 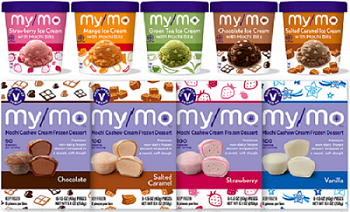 MY/MO CASHEW CREAM FROZEN DESSERT (SRP $6.99) - My/Mo Mochi Ice Cream’s new vegan frozen dessert answers consumers’ demands for a dairy-free alternative to their colorful, pop-able and portable snacks. My/Mo Mochi Cashew Cream Frozen Dessert is a carefully crafted vegan treat made with a scoop of premium dairy-free cashew cream, wrapped in delectably soft rice dough. The new 6-pack boxes are available in four flavor varieties and each ball is only 100 calories each! The four new additions will hit retail shelves soon, with flavors including: Strawberry, Vanilla, Chocolate and Salted Caramel. • 582 stores to continue operating in the ordinary course; 94 stores will close. • All general unsecured claims, including supplier partners and trade creditors, to be paid in full in ordinary course. 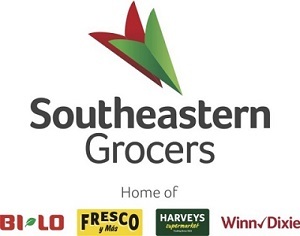 Southeastern Grocers has entered into a Restructuring Support Agreement with a group of creditors collectively holding 80% of its 8.625%/9.375% Senior PIK Toggle Notes due September 2018 and its private equity sponsor regarding the terms of a comprehensive financial restructuring that will position the company for long-term financial health. SEG will continue operating throughout this process, and the company's associates remain focused on exceeding the needs of customers and consistently delivering great service, quality and value in SEG's stores. Anthony Hucker, President and Chief Executive Officer of SEG, said, "The agreement is an important step in Southeastern Grocers' transformation to put our company in the best position to succeed in the extremely competitive retail market in which we do business. With a foundation built on iconic, heritage banners, and with the strong support of our leadership team, we will work through this process as quickly and efficiently as possible. We are excited to emerge with the optimal store footprint and greater financial flexibility to invest in Southeastern Grocers' growth." Consummating the transactions contemplated under the RSA is expected to significantly strengthen the company's balance sheet. The restructuring will decrease overall debt levels by over $500 million and maintain the company's strong liquidity position under the new post-emergence Revolving Credit Facility. The significant reduction in debt will result in reduced interest expense, allowing the company to invest more cash flow back into the business in the form of increased capital expenditures for store remodels and new stores. • The company's outstanding secured debt obligations, including its Secured Notes and the 2014 Revolving Credit Facility, will be paid in full. • The company has secured 100% committed exit financing in the form of a senior secured six-year term loan facility in the original principal amount of $525 million and an asset-based lending (ABL) revolving credit facility. • The Unsecured Notes will be cancelled in exchange for 100% of equity in the reorganized company. • Holders of general unsecured claims, including supplier partners, contract counterparties, and all other trade creditors will receive payment in full on account of existing obligations in the ordinary course of business. • The holder of the company's existing equity will receive a five-year warrant (subject to dilution) and certain global settlement consideration. • 582 stores will continue to operate throughout the company's footprint. 94 stores will close, many of which will have their related leases rejected and lease rejection claims rendered unimpaired. The company plans to implement the terms of the proposed financial restructuring by soliciting votes from holders of its Unsecured Notes and holders of its existing equity on a pre-packaged plan of reorganization and commencing voluntary cases under chapter 11 of the United States Bankruptcy Code with the United States Bankruptcy Court for the District of Delaware by the end of March. With a deleveraged balance sheet and an optimal store base, the company will be able to focus its resources on stores with the greatest potential for growth and improve the financial health of the overall business. Hucker remarked, "We expect our financial health and free cash flow to improve in the newly reorganized company, and although the restructuring contemplates certain store closings, SEG is committed to ensuring that all associates continue to be treated with the utmost dignity, respect and compassion. We will continue every day to provide our associates with a great place to work and our customers with a store experience they can count on. On behalf of the Southeastern Grocers leadership team, I want to thank our many talented associates for their dedication and loyalty in serving our customers and community day in and day out." Supervalu Inc. has entered into three separate definitive agreements to sell 21 of its 38 Farm Fresh Food & Pharmacy (“Farm Fresh”) stores for approximately $43 million in cash to three different retailers: Harris Teeter, Kroger Mid-Atlantic Division, and Food Lion. Supervalu is also continuing discussions and exploring potential transactions to sell the remaining Farm Fresh stores to current and prospective wholesale customers and certain Farm Fresh employees. • Ten stores being sold to Harris Teeter, including six in-store pharmacies and three fuel centers. • Eight stores being sold to Kroger Mid-Atlantic Division, including eight in-store pharmacies and four fuel centers. • Three stores being sold to Food Lion, including three in-store pharmacies. The transactions, which were unanimously approved by Supervalu’s board of directors, are currently expected to close in May 2018, subject to customary closing conditions. Supervalu is also working with a third party to liquidate the inventory at these Farm Fresh stores. With regards to Farm Fresh pharmacies not included in these three sale transactions, Supervalu has entered into agreements to transfer pharmacy prescription files to other pharmacies in the area. Prescription files from ten pharmacies will be transferred to Rite Aid and four to CVS Pharmacy. 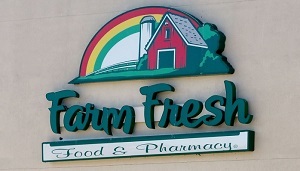 Founded in 1957, Farm Fresh has served Virginia and North Carolina for 60 years, and today employs approximately 3,300 associates. Retail industry employment increased by 46,400 jobs in February over January, the National Retail Federation says. The number excludes automobile dealers, gasoline stations and restaurants. Overall, the economy added 313,000 jobs, the Labor Department said. The February increase was more than four times the gain of 10,800 jobs seen in January over December. The three-month moving average in February showed an increase of 10,600 jobs. General merchandise stores were up by 17,700 jobs, fueled mostly by gains at warehouse and supercenter stores, while clothing and accessories stores were up by 14,900 jobs and building materials stores were up by 10,300 jobs. There were declines totaling 5,400 jobs spread across health and personal care, sporting goods and miscellaneous stores. Economy-wide, average hourly earnings in February increased by 68 cents – 2.6 percent – year over year. The Labor Department said the unemployment rate was 4.1 percent, unchanged for the fifth straight month. Americans plan to spend a record $5.9 billion to celebrate St. Patrick’s Day this year, according to the annual survey released by the National Retail Federation and Prosper Insights & Analytics. That’s the highest level in the survey’s 14-year history, up from last year’s previous record of $5.3 billion. Kingston-Miami Trading Company President Patrick Cha-Fong (pictured) has been invited to participate in a program and reception with President Donald Trump and top Republican Party leaders at a gathering to be held, Saturday, March 3, at The Mar-A-Lago Club in Palm Beach, Florida. This tight-knit gathering of the nation’s top leaders will provide a unique opportunity for those in attendance to sit down and discuss how to continue moving the Republican Party forward and further advance President Trump’s vision to Make America Great Again. 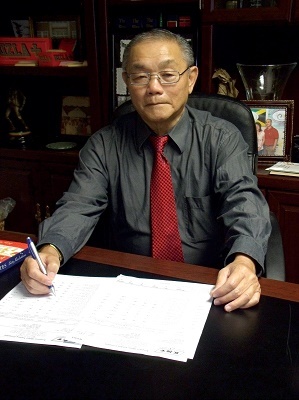 A prominent member of the Food Industry, Cha-Fong and his wife Christine, founded the Miami-based leader in Caribbean and ethnic foods 35-years ago. The company has grown to become a world leader within its ever-expanding category. Cha-Fong’s Jamaican/Chinese/Canadian/American heritage is a strong asset by which his attendance at the event reflects the diversity within today’s business world. “I look forward to discussing with the President and others gathered for this event my ideas and those of others who have come together with the mutual goal of how to make America great, again.” Cha-Fong told TODAY’S GROCER. Cha-Fong had been active in politics for many years prior to (then) President Ronald Regan conferring on him life-membership in the Republican National Committee in 1980. In addition to his membership in the RNC, today, Cha-Fong, is a member of President Trump’s Presidential Advisory Board. President Trump has gone on record as saying that he considers Cha-Fong’s support vitally important to the Party winning in 2018 and promoting the President’s policies that will create a safer, stronger and more prosperous country. Cha-Fong has a long history of both personal and business success. His is truly an American success story. Within the world of finance, Cha-Fong is believed to be among a select, small group of individuals that can boast the highest credit scores. Cha-Fong achieved, six times running, a FICO Score of 850, the highest achievable rating. Kingston-Miami Trading Company distributes many of the leading brands within the all-important gourmet/ethnic niche: Jamaican Country Style, Caribbean Exotic Gourmet, Mrs. Chris, Sak Pasé, Chef Pearl Chang, Lion of Judah, Jamaicaway, and a number of highly-popular nationally branded products. K-MT products can be found across the United States and throughout the Caribbean. They are sold by many of the leading retailers and are available online via Amazon. 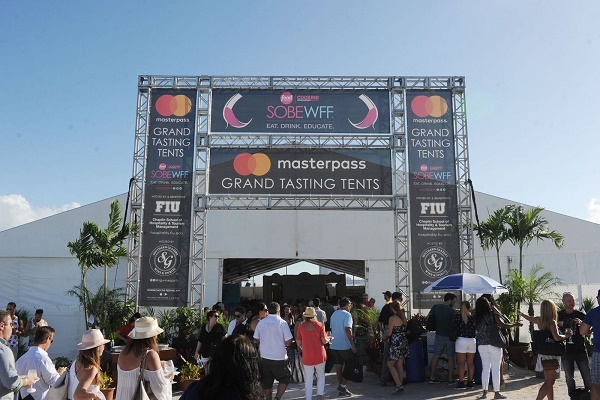 For the seventh consecutive year, Goya Foods, Inc. will participate in the Food Network & Cooking Channel South Beach Wine & Food Festival (SOBEWFF). Also for the seventh year in a row, the company will serve as the Official Latin Foods Provider and reprise its role as the title sponsor of the Grand Tasting Village for the third year running. This year, Goya will expand its participation in the festival by becoming The Official Spice and Olive Oil Partner. Festival-goers will now be able to experience Goya Foods in more ways throughout the event. Goya's lineup of celebrity chefs will delight attendees with their culinary prowess. Participating chefs include Fernando Desa, Goya's executive chef; Jose Mendín, executive chef of Food Comma Hospitality Group; Richard Ingraham, personal chef to Dwyane Wade; and Sean Brasel, executive chef and owner of Meat Market. Throughout the five-day festival – which runs from Wednesday through Sunday, February 21-25, 2018 – Goya Foods invites guests to experience the mouthwatering variety of its Latin American products. • As a culinary captain, Goya's Executive Chef Fernando Desa will open Goya Foods' "Savory Studios" activation at the Goya Foods Grand Tasting Village, which runs Friday, February 23 - Sunday, February 25. Chef Desa is responsible for the research and development of new products and recipes for the family-owned company. This year, Chef Desa will serve delectable Goya recipes dreamt up exclusively for the event: Crunchy Pork Belly Taco, Tuna Tataki Tostada and Red Bean Crème Brûlée. On Sunday, Chef Desa will partner with one of Miami's elite Chefs, Jose Mendin, Executive Chef and Co-founder of Food Comma Hospitality Group, who will showcase a Bao with Lechon. • For junior chefs, Fun and Fit as a Family featuring Goya Foods Kidz Kitchen offers family-friendly fun including healthy food tastings, physical fitness activities, and star-studded healthy cooking demonstrations. Chef Ingraham, personal chef to basketball superstar Dwyane Wade, will serve as the emcee and introduce the astounding lineup of chefs presenting cooking demos at the Goya Foods Kidz Kitchen. Chef Ingraham, in collaboration with Chef Desa, will participate in a live interactive food demonstration to kick-off the Goya Foods' Kidz Kitchen on Saturday. Throughout the event, Chefs Desa and Ingraham will prepare black bean quesadillas that will be served from Goya's outpost at Fun and Fit. • Bringing the five-day festival to a close, Goya will once again take over the Biltmore Hotel in Coral Gables for the Goya Foods' Swine, Wine & Spirits presented by The National Pork Board and hosted by Giorgio Rapicavoli. Goya's Chef Desa will partner with Sean Brasel, executive chef and owner of Meat Market, to prepare different variations of pork dishes. These master chefs promise to once again craft iconic creations such as chili rubbed pork belly and seared pork rib and pork cheek. Café Bustelo is partnering with the Hispanic Association of Colleges and Universities (HACU) to launch the fifth-annual Café Bustelo El Café del Futuro Scholarship. Eligible U.S. students can submit their application for the opportunity to receive one of ten $5,000 scholarships. All eligible applications must be received by Friday, May 25, 2018 at 11:59 p.m. ET, and recipients will be announced on or about September 15, 2018. 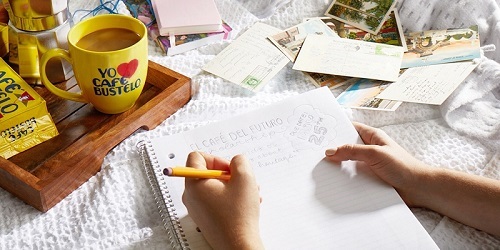 Café Bustelo is asking students of Latino descent to submit an application that includes an 800-words or less essay in English or Spanish describing how their heritage, family, and community have impacted their desire and motivation to obtain a college degree; how they plan to give back to their community; and what they intend to accomplish with their degree. In its fifth year, the Café Bustelo El Café del Futuro Scholarship has awarded $180,000 in college scholarships to 36 Latino students nationwide. In 2017, more than 1,000 eligible entries were received. The selected essays conveyed how heritage and culture have driven students' pursuit of higher education and betterment of their communities. The scholarship maintains founder Gregorio Bustelo's passion and tradition of reinvesting in local communities and celebrating Latino cultural values. Café Bustelo proudly continues the tradition of supporting communities that have enjoyed its coffee in their homes for nearly a century. 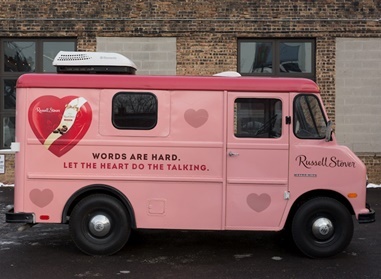 Russell Stover Chocolates will hit the streets of Chicago on Valentine’s Day to rescue the relationships of last-minute gifters facing the possible fallout of greeting spouses or sweethearts empty-handed. On Wednesday, February 14, Kansas City, Mo.-based Russell Stover Chocolates, Number one in Valentine’s Day chocolate sales, will deploy its “Valentine’s Day SOS Van”—a specially wrapped 1960 International Harvester Metro—in the Richard J. Daley Plaza in Downtown Chicago, where brand ambassadors will hand out free 14-ounce heart-shaped boxes of chocolates and dollar-off coupons for Russell Stover Chocolates valid at select Walgreens locations throughout Chicago. A paid social media campaign and a mainstream media relations effort will help drive consumer awareness and foot traffic to Daley Plaza and spark engagement with the Russell Stover Chocolates brand. Russell Stover chose Daley Plaza for its highly visible central location in the Chicago Loop and the fact that a dozen Walgreens stores, where coupons can be redeemed, are within easy walking distance. An estimated 70 million Americans will give the gift of chocolate or candy for Valentine’s Day, and 94 percent of Americans want to receive chocolate or candy for Valentine’s Day—more than any other traditional gift associated with the holiday, according to the National Confectioners Association. 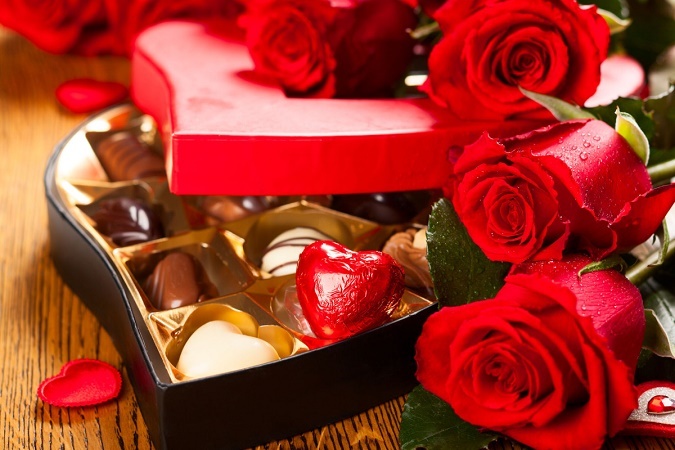 More than 40 percent of people say a heart-shaped box makes the gift even sweeter, and 43 percent of people say they plan to buy themselves a box of chocolate to celebrate. Americans will purchase more than 58 million pounds of chocolate and 36 million heart-shaped boxes of chocolate candies in the week leading up to Valentine’s Day. U.S. consumers are expected to spend an average $143.56 on Valentine’s Day as 55 percent of the population celebrates this year, an increase from last year’s $136.57, according to the annual survey released today by the National Retail Federation and Prosper Insights & Analytics. Total spending is expected to reach $19.6 billion, up from $18.2 billion last year. The numbers are the second-highest in the survey’s 15-year history, topped only by the record $146.84 and $19.7 billion seen in 2016. This year’s survey found consumers plan to spend an average $88.98 on their significant other/spouse ($12.1 billion), $25.29 on other family members such as children or parents ($3.5 billion), $7.26 on children’s classmates/teachers ($991 million), $7.19 on friends ($982 million), $5.50 on pets ($751 million) and $4.79 on co-workers ($654 million). Those 25-34 will be the biggest spenders at an average of $202.76. Those celebrating Valentine’s Day plan to spend $4.7 billion on jewelry (given by 19 percent), $3.7 billion on an evening out (35 percent), $2 billion on flowers (36 percent), $1.9 billion on clothing (17 percent), $1.5 billion on gift cards/gift certificates (15 percent) and $894 million on greeting cards (46 percent). More consumers plan on purchasing candy this year, with 55 percent (up from 50 percent) saying they will give gifts of candy for a total of $1.8 billion. “Gifts of experience” such as tickets to a concert or sporting event continue to be popular, sought by 42 percent of consumers, but only 24 percent plan to give one. Those 25-34 are the most likely to give such a gift at 41 percent. 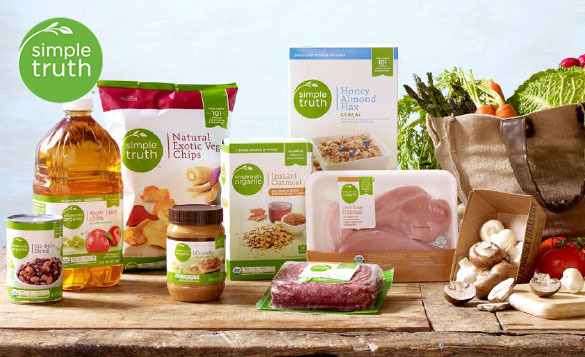 The Kroger Co. has announced its Simple Truth brand has achieved $2 billion in annual sales. "Simple Truth is a brand that has earned our customers' trust through clean labels, fantastic flavors and affordability since its launch five years ago," said Robert Clark, Kroger's Senior Vice President of Merchandising. "Simple Truth has become the second-largest brand sold in our stores, and Kroger is proud to have led the way in making this category more mainstream and accessible, feeding our customers' appetites for natural, organic and free-from products." Earlier this month, Kroger launched its largest-ever Our Brands customer sales promotion, featuring savings on thousands of Simple Truth and Simple Truth Organic items. "If Our Brands were on the Fortune 500, it would rank number 138," Mr. Clark added. "Our Brands is shaping the way we are redefining the customer experience as outlined in our Restock Kroger plan." The Simple Truth brand now offers more than 1,400 unique products across multiple categories, including grocery, meat, produce, deli, bakery, baby, household essentials, personal care and Fair Trade Certified. With the help of 84.51° insights, Simple Truth will continue to innovate and introduce new items in 2018 that align with customer trends and are always affordable. Simple Truth products are exclusive to the Kroger Family of Stores and customers can purchase the brand in a variety of ways: in a store; through ClickList; or Vitacost.com for ship-to-home delivery. American adults are expected to spend an average $81.17 for a total of $15.3 billion as an estimated 188.5 million people watch the New England Patriots take on the Philadelphia Eagles in the Super Bowl next month, according to the annual survey released today by National Retail Federation and Prosper Insights & Analytics. Projected viewership is the same as last year but total spending is up 8.5% from $14.1 billion in 2017. Of the 76 percent of those surveyed who plan to watch the game, 82 percent say they will purchase food and beverages — up slightly from 80 percent last year — and the highest in the survey’s history. Another 11 percent will buy team apparel or accessories, unchanged from 2017. New televisions and decorations hold a similar draw for those planning to watch at home, with 8 percent planning to purchase each, also unchanged. Those 25-34 will spend the most of any age group at an average of $118.43. According to the survey, 18 percent (45 million) will host a Super Bowl party, with 28 percent (69 million) planning to attend one. Bars and restaurants will entice 5 percent (11 million) planning to watch at their favorite local spot. 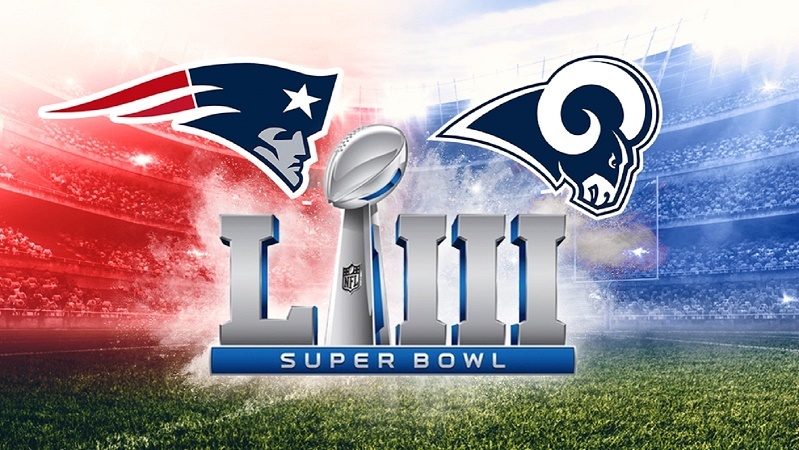 Of those watching, 41 percent say the most important part of the Super Bowl is the game itself, while 24 percent cite the commercials, 15 percent like getting together with friends, 14 percent watch for the half-time show and 7 percent are there for the food. The survey, which asked 7,277 consumers about their Super Bowl plans, was conducted January 3-10 and has a margin of error of plus or minus 1.1 percentage points. Full data results will not be published on NRF.com but news media and analysts who require additional information can contact press@nrf.com. 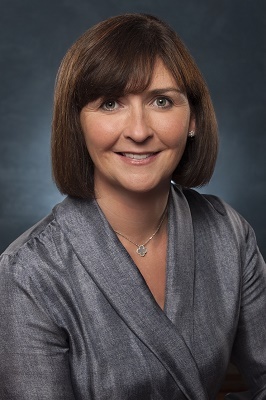 Wal-Mart Stores Inc. recently announced that Judith McKenna will be promoted to President and Chief Executive Officer (CEO) of Walmart International, the company’s second-largest operating segment. She will be succeeding David Cheesewright, who has been in role since 2014 and recently shared his desire to retire from a full-time role. McKenna, currently serving as Executive Vice President and Chief Operating Officer (COO) for Walmart U.S., will assume her new role on Feb. 1, 2018, and report to Walmart President and CEO, Doug McMillon. “During his 19 years with the company, David has served in a number of key leadership roles in our company. He has built a reputation as an insightful strategic thinker with a track record of delivering consistent, profitable growth. He has been instrumental in strengthening our business across the globe. He’s a passionate advocate for our people, culture and purpose around the world,” McMillon said. Cheesewright will remain with the company full time through March and then serve the company, on a limited basis, with specific projects for a longer period of time. “I’ve had the pleasure to work with Judith for many years and have seen first-hand her ability to lead strategic change, build relationships with our associates and strengthen our business. It has been inspiring to see her personal growth and the results she’s driven over the years. Her integrity, high expectations and passion for the business and our associates will ensure our continued success in International,” said McMillon. McKenna’s career with Walmart began in 1996 at Asda, the company’s U.K. operation, where she served as Chief Operating Officer and Chief Financial Officer. McKenna also served as Executive Vice President of Strategy and International Development for Walmart International. There, she led several areas, including international strategy, real estate, mergers and acquisitions, integration, global format development and purchase leverage. Upon moving to the Walmart U.S. division in April 2014, McKenna served as the business unit’s Chief Development Officer, where she led the strategy, development and growth of Walmart’s small format business and the partnership with Walmart.com to integrate digital commerce into the physical store presence. Several months later she was promoted to her expanded role as Executive Vice President and Chief Operating Officer for Walmart U.S. with responsibilities for the company’s U.S. store operations, including more than 4,500 retail locations. Walmart’s International division serves more than 100 million customers every week in more than 6,200 retail units, operating outside the United States with 55 banners in 27 countries. President and Chief Executive Officer J. Patrick Doyle has announced his intention to depart Domino's on June 30 after more than eight years at the helm of what is now the world leader in pizza. %nbsp;At the same time, Domino's Board of Directors announced the promotion of Richard Allison, President of Domino's International, to the role of Chief Executive Officer, succeeding Doyle; and the promotion of Russell Weiner, President of Domino's USA, to the newly-created role of Chief Operating Officer of Domino's and President of the Americas. Both appointments will be effective as of July 1. "One of the great honors and opportunities of my professional life was being named CEO of this incredible brand in early 2010," Doyle said. "At that time, I set three goals for myself: I wanted us to become the #1 pizza company in the world; I wanted Domino's to provide our franchisees with the best possible return on their investment by creating a dramatically better experience for our customers; and I wanted to have a Leadership Team in place that would be ready to create even better results into the future. I'm proud to say that we've accomplished all of those goals, and I will leave Domino's knowing that it is in great hands." Commented Domino's Chairman of the Board David Brandon: "Patrick excelled at every role he served at Domino's for more than 20 years and during the past eight, he distinguished himself as one of the best leaders in the restaurant industry. Under his leadership, the brand opened more than 5,500 stores, launched in more than a dozen new countries, and Domino's became one of the top-performing stocks of the decade. As important, though, is the fact that he developed an outstanding leadership team, which has allowed the Board to select a successor from that team." 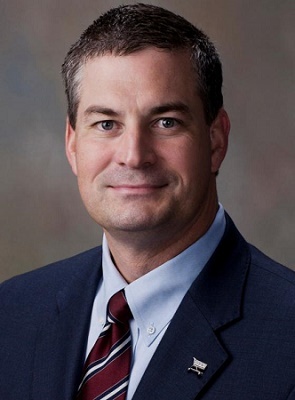 Richard (Ritch) Allison will officially take over as Domino's Chief Executive Officer on July 1. As President – Domino's International, Allison currently oversees more than 9,000 stores and all franchise relationships outside the United States. Allison joined Domino's in March 2011 as executive vice president of International, joining the brand from Bain & Company, Inc., a leading global business consulting firm, where he was partner and co-leader of Bain's restaurant practice. "Under Ritch's leadership, Domino's international division grew by more than 4,500 stores in more than 85 markets in six years. Domino's International has achieved 95 consecutive quarters of same store sales growth and accounts for more than one-half of the company's global retail sales," Brandon said. "The Board is confident Ritch is well-prepared to lead the company to the next level. And he could not have a more talented and capable leader than Russell Weiner to assume the critical new role of Chief Operating Officer of Domino's and President of the Americas." "I am honored and humbled by this opportunity, as well as the trust and faith the Board of Directors has in me to lead this incredible global brand," Allison said. "Patrick Doyle inspired us with the vision to become the world's market share leader in pizza, and we've done that. Now, we're looking to continue accelerating our growth with the support of our tremendous franchisees, managers and team members the world over. We want to become the dominant player in pizza everywhere in the world. I can't wait to get started." Allison received his degree in business administration from the University of North Carolina at Chapel Hill, and later earned an MBA from UNC's Kenan-Flagler Business School, where he was named a Dean's Scholar and received the Norman Block Award. He currently serves on the Kenan-Flagler Business School Board of Advisors. Weiner Named Chief Operating Officer of Domino's and President of the Americas Russell Weiner, currently serving as President – Domino's USA, will take over in the newly-created role of Chief Operating Officer of Domino's and President of the Americas on July 1. "As we continue to globalize our business, it is important that we create synergies and centers of excellence across the Domino's system," Brandon said. "In his role as COO of Domino's, Russell will be leading this effort. As President of the Americas, he will oversee marketing, operations, store growth and development, franchise relationships, strategy and insights and e-commerce for Domino's in the Americas - markets that account for 50 percent of Domino's global retail sales." Weiner was responsible for the reinvention of Domino's U.S. menu, which led to record-setting sales increases and the turnaround of the Domino's brand. Weiner is also credited for the creation of Domino's "Pizza Theater" store design, the redesign of the brand logo, and creation of the DXP pizza delivery vehicle, as well as many product and technology innovation launches. "Joining Domino's as CMO in 2008 was the thrill of a lifetime for me," Weiner said. "We had an opportunity to take a 'legacy' brand that was almost 50 years old and make it fresh again. Any marketer would love to have that chance. But then to become president of the U.S. business and now, to serve as Chief Operating Officer and to lead the Americas, is an honor that is difficult to describe. I'm looking forward to working closely with Ritch as we set our sights even higher than ever." A graduate of Cornell University, Weiner earned his MBA in marketing and international business from the New York University Stern School of Business. He currently serves on the Board of The Clorox Company.